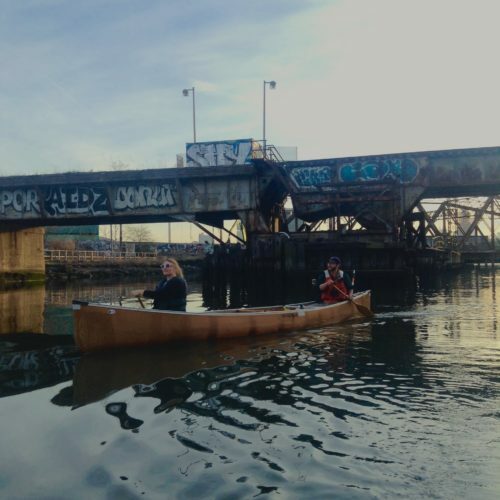 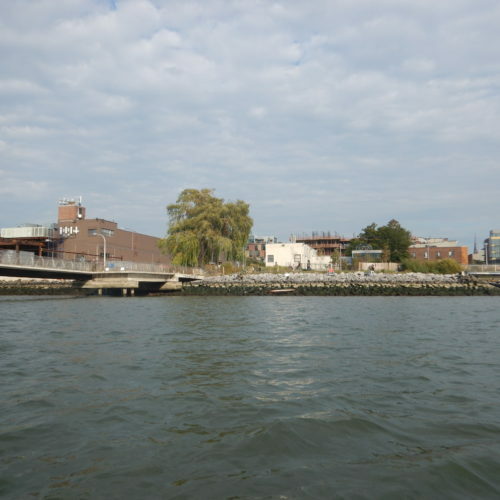 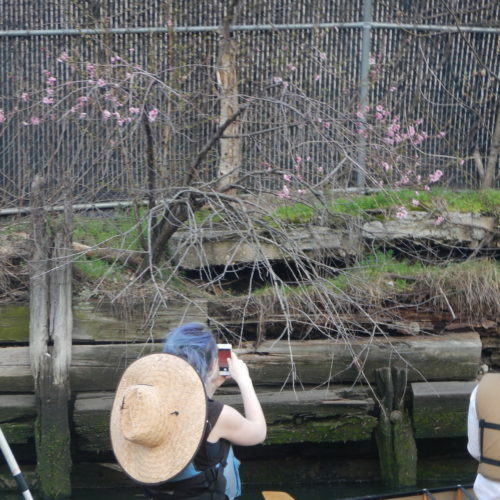 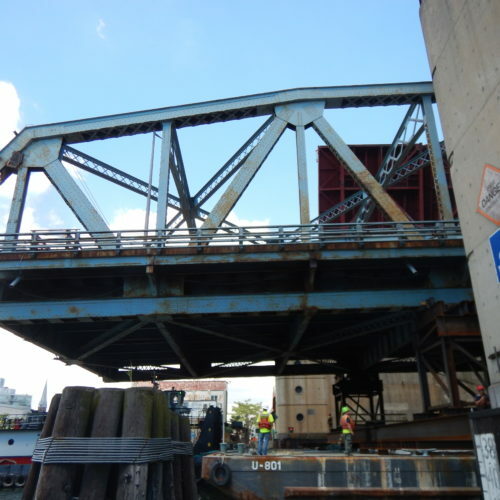 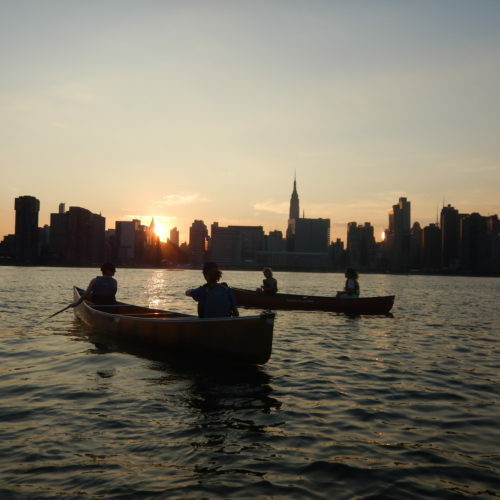 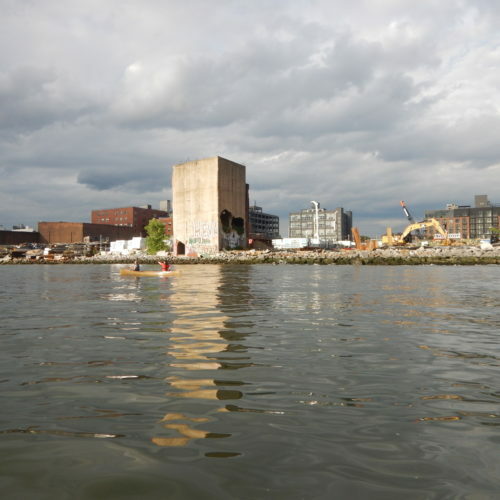 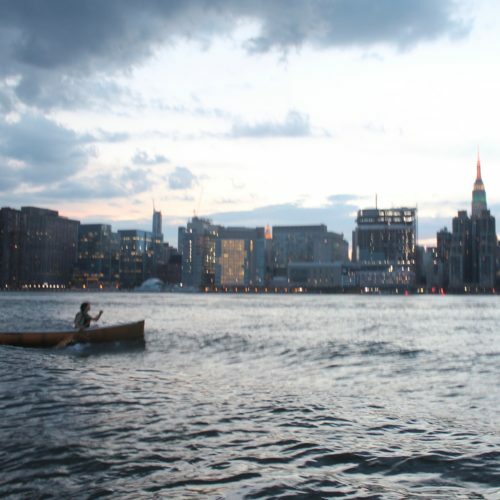 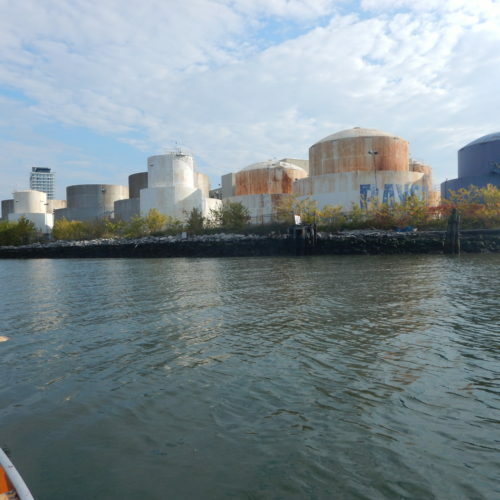 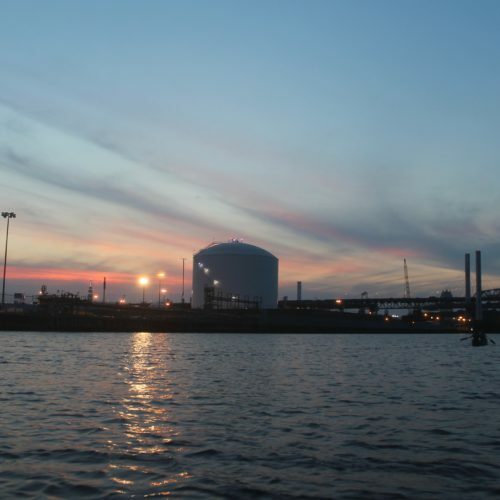 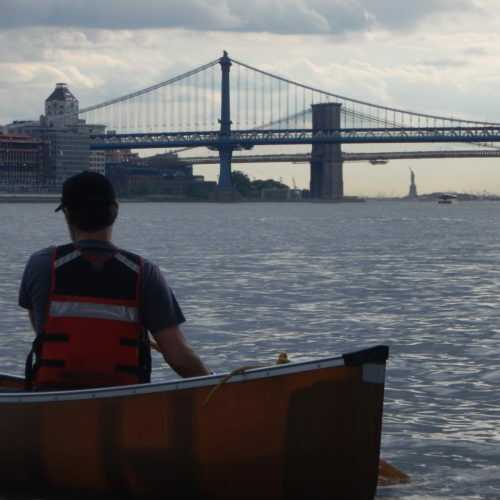 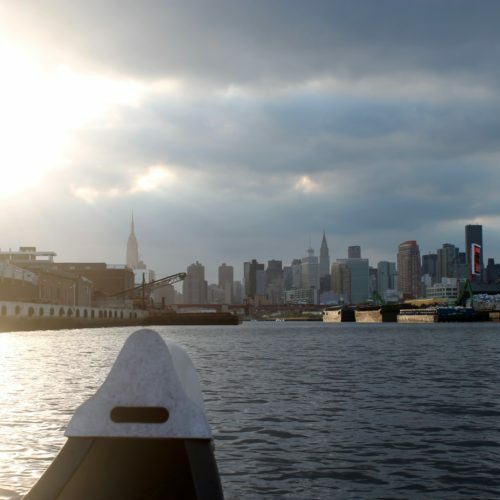 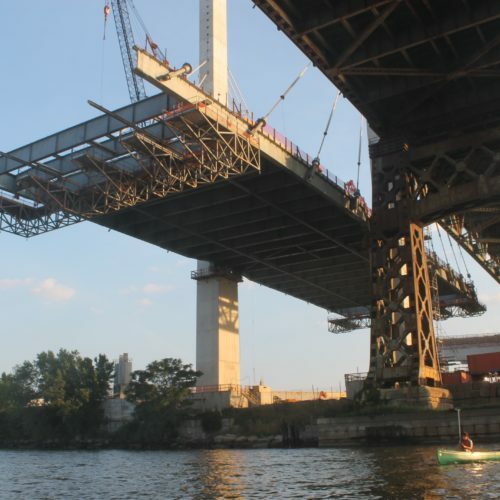 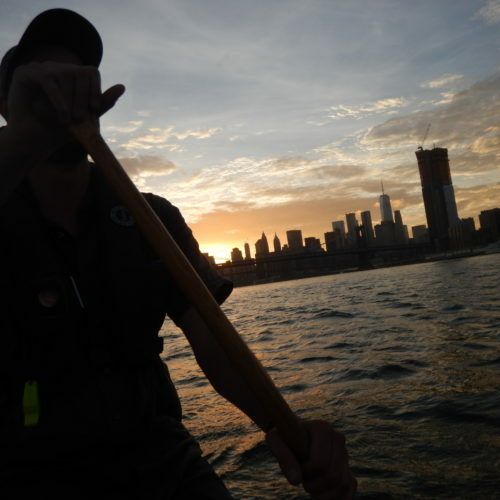 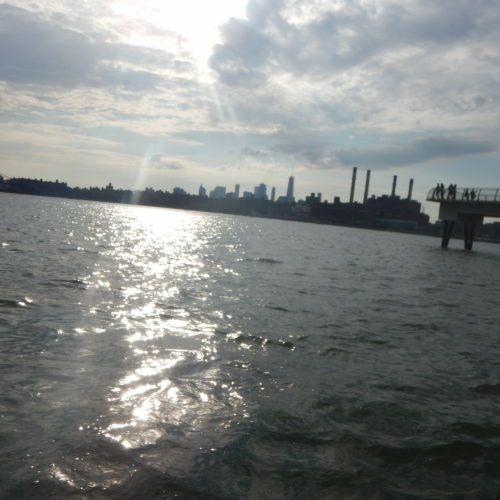 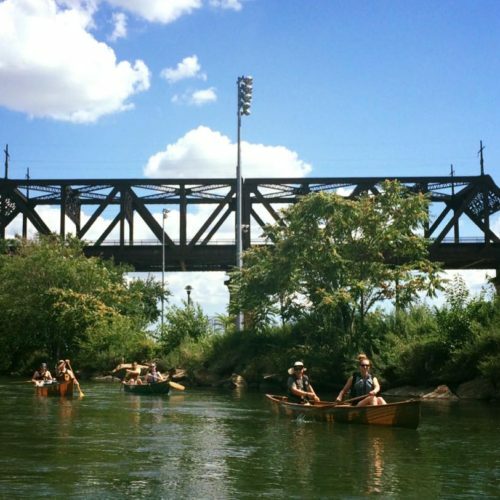 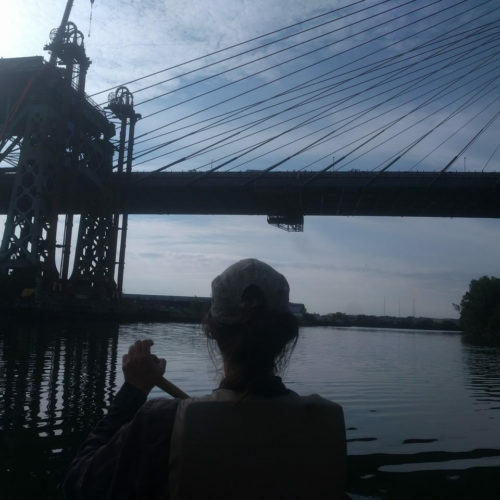 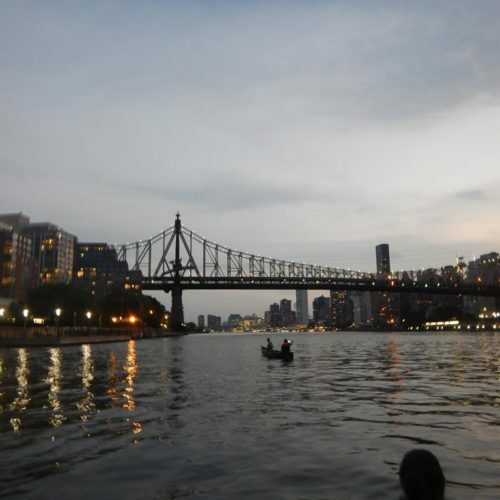 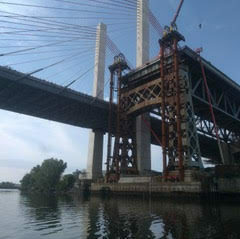 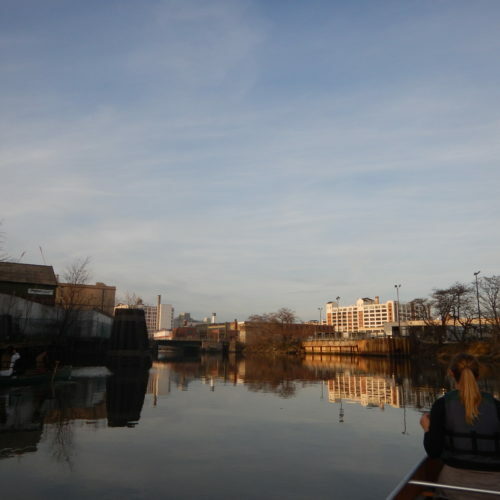 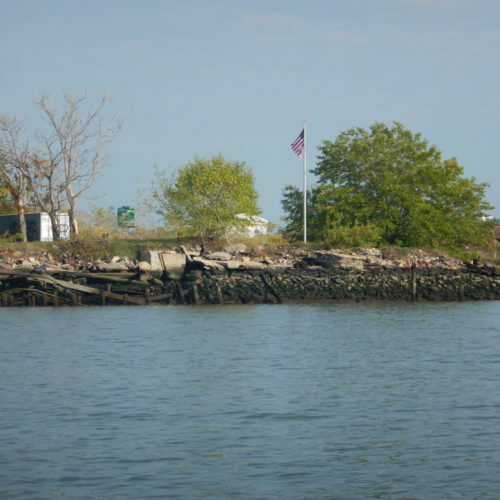 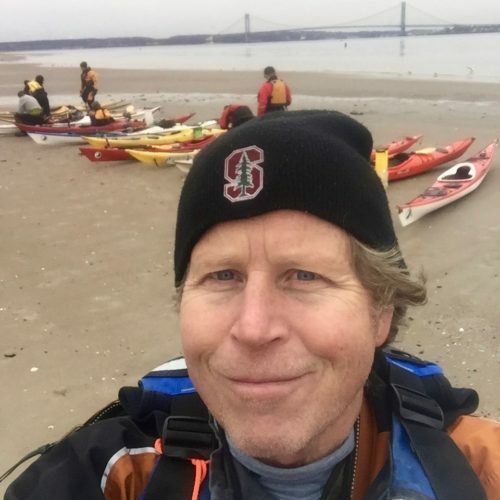 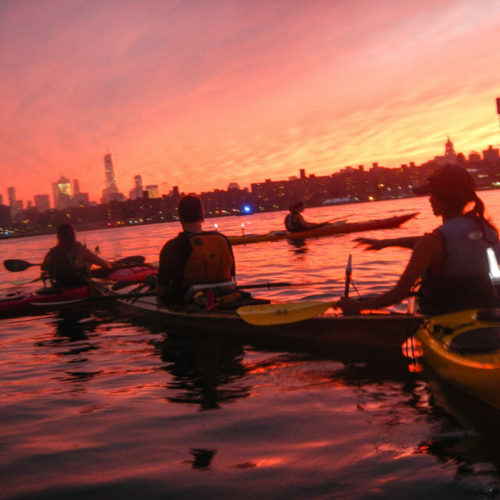 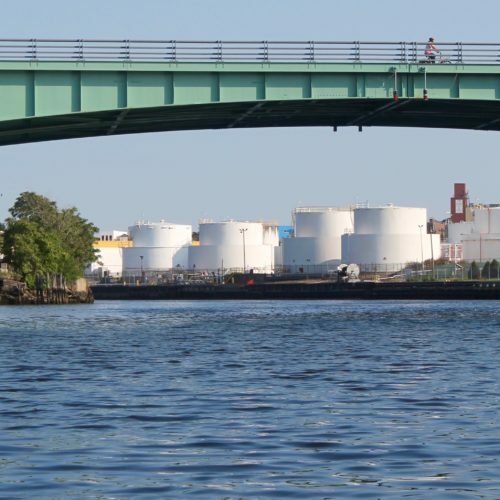 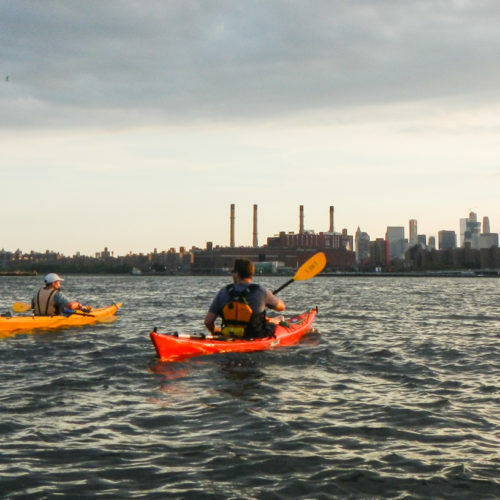 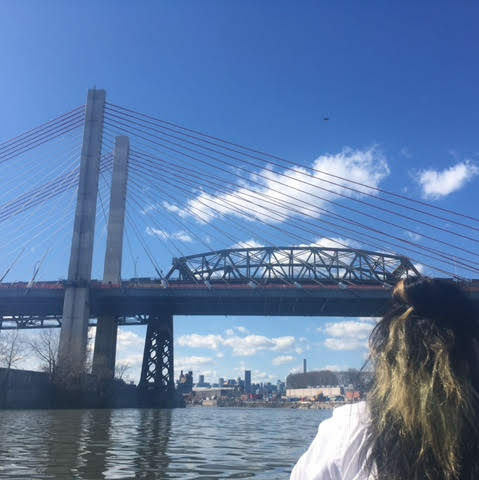 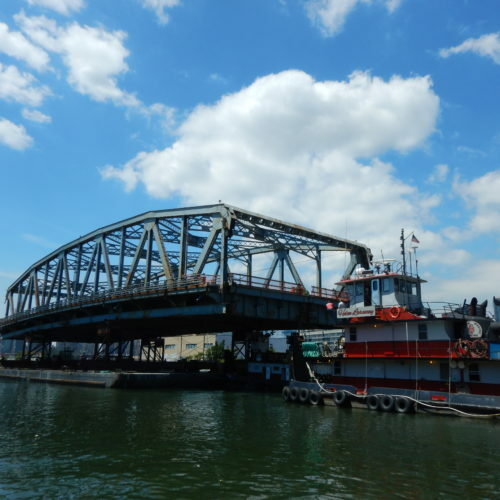 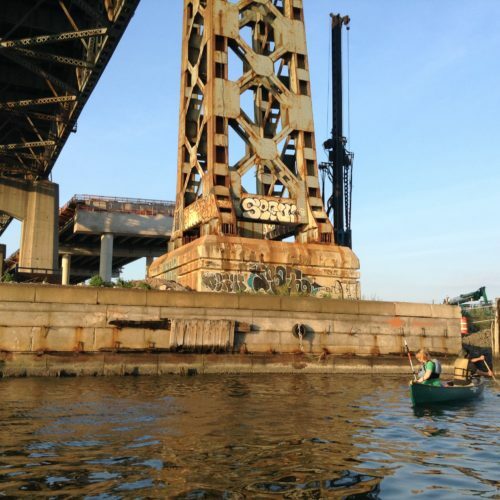 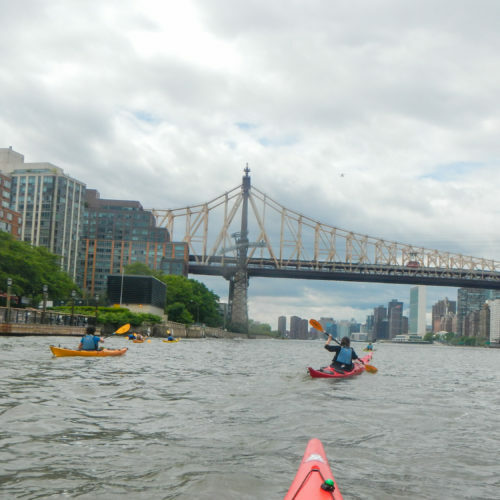 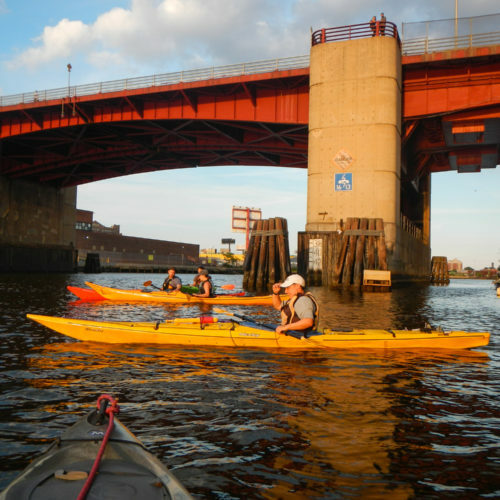 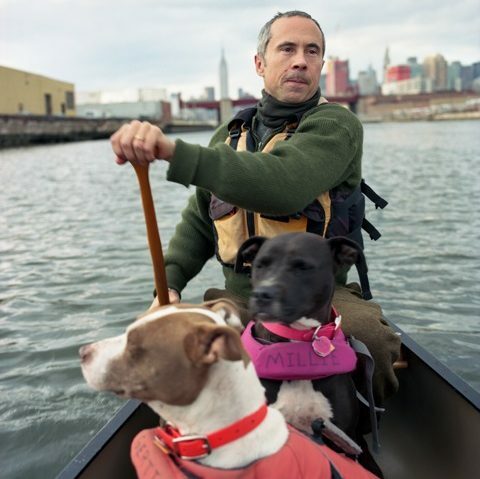 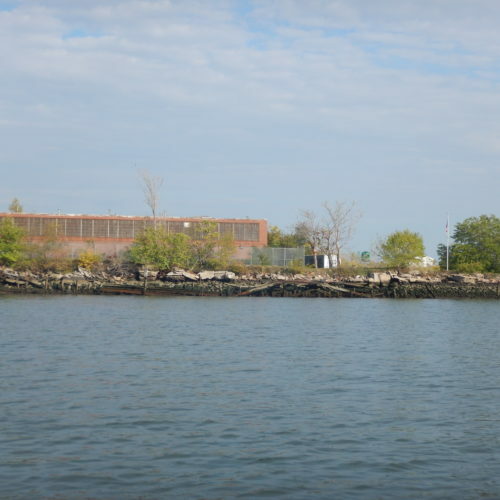 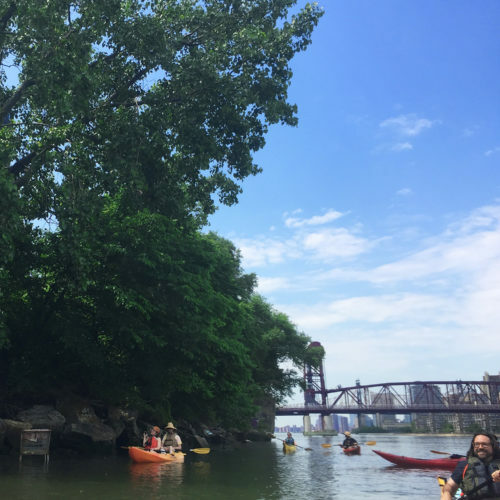 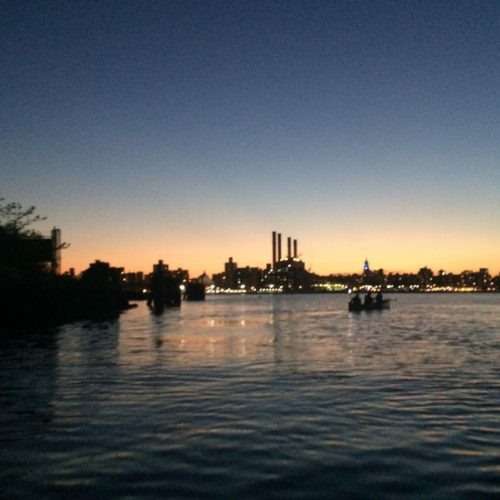 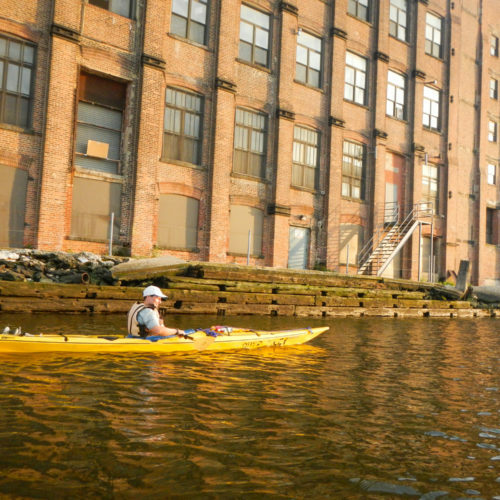 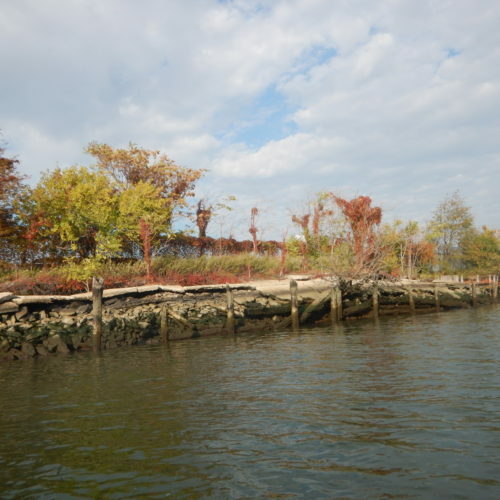 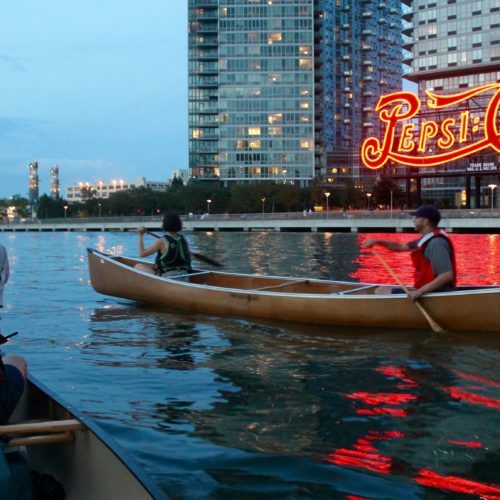 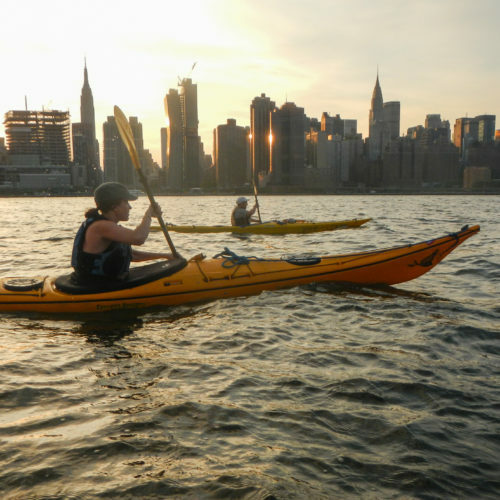 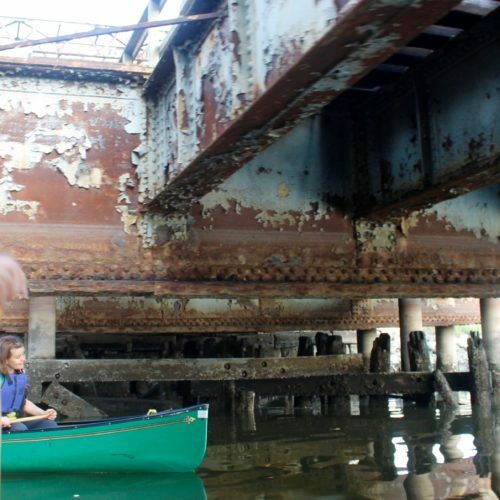 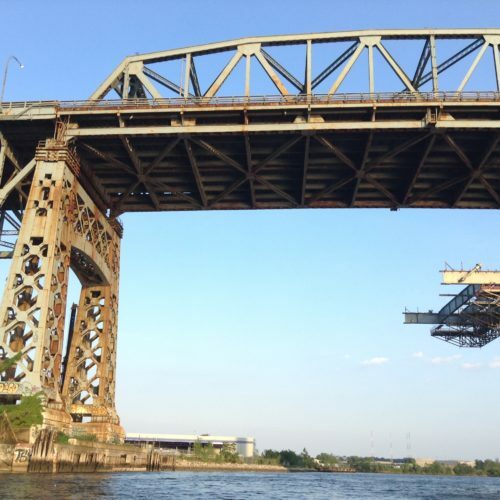 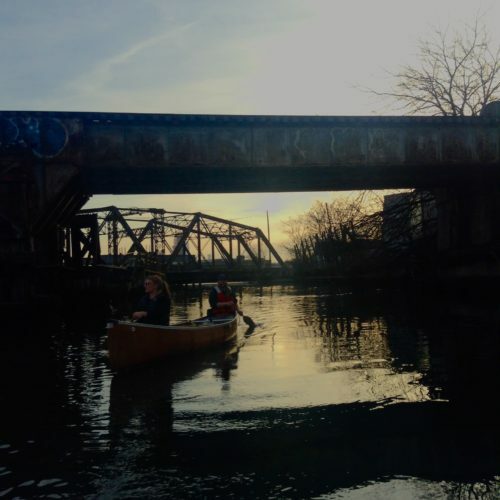 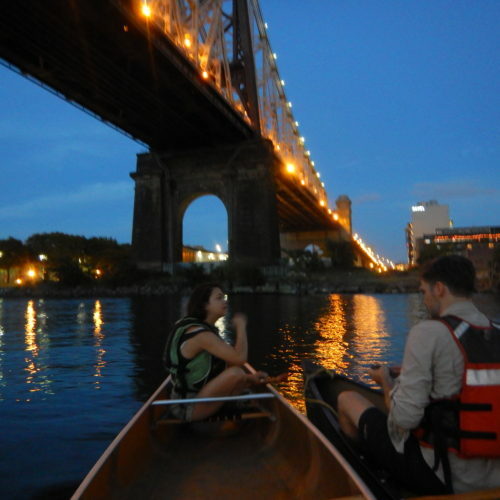 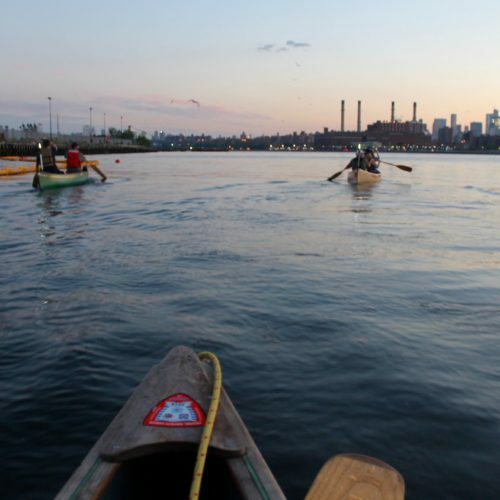 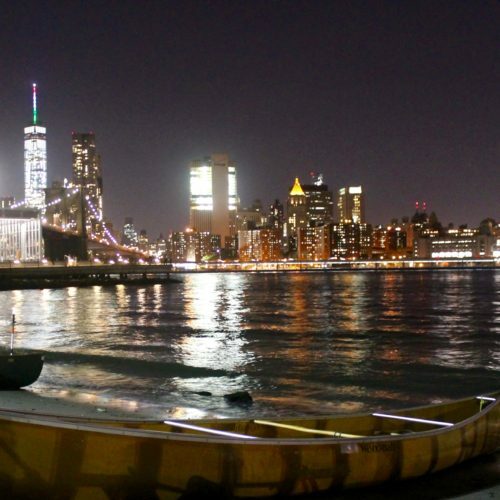 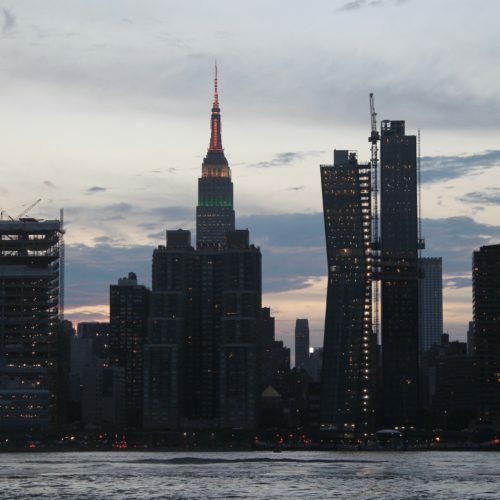 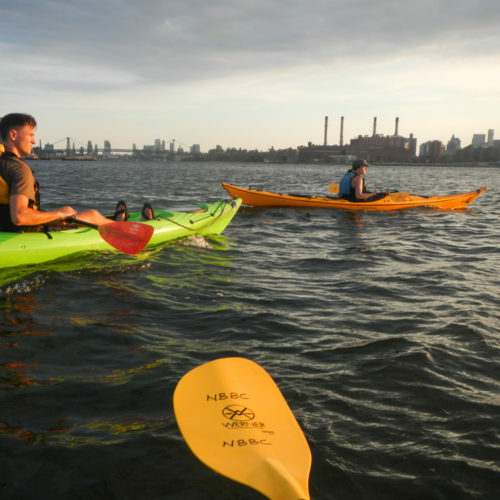 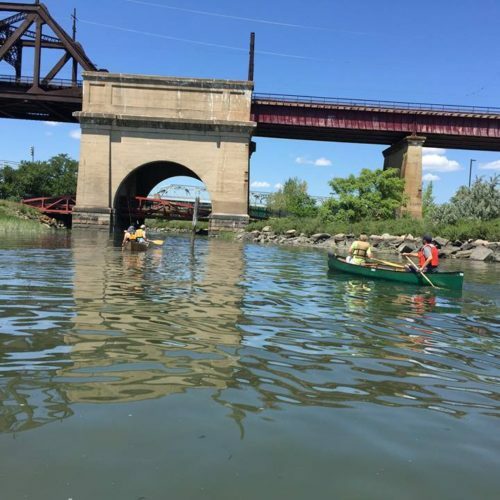 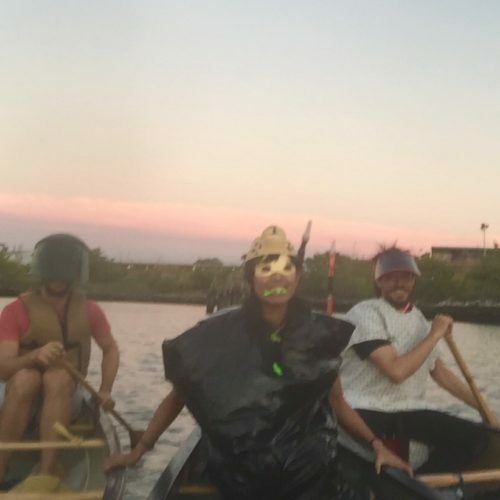 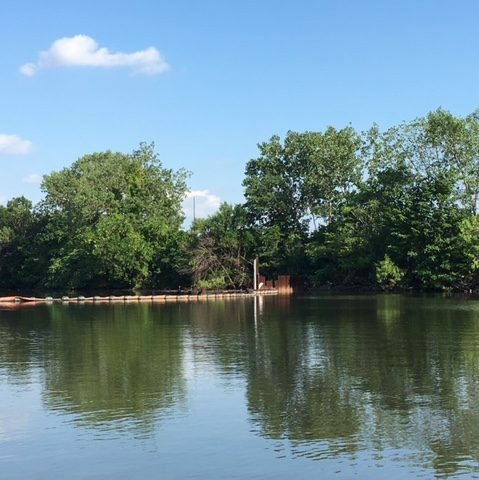 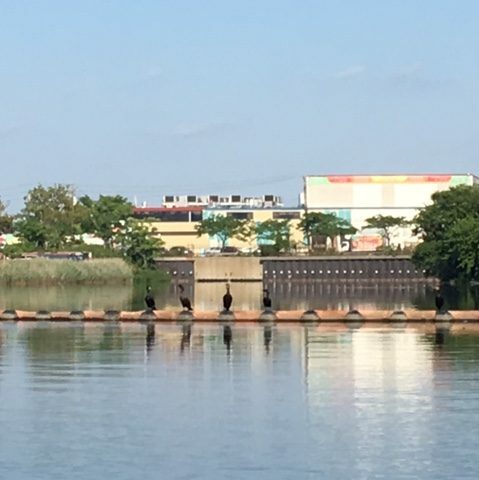 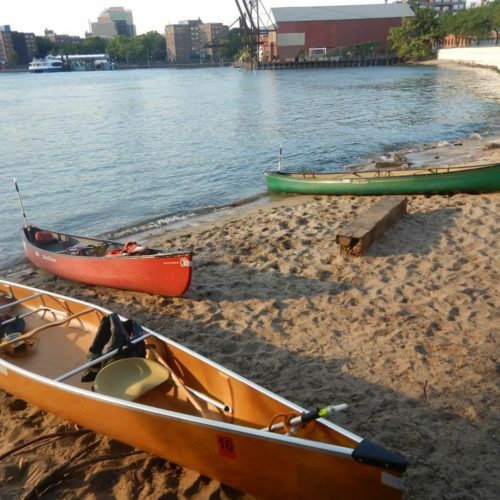 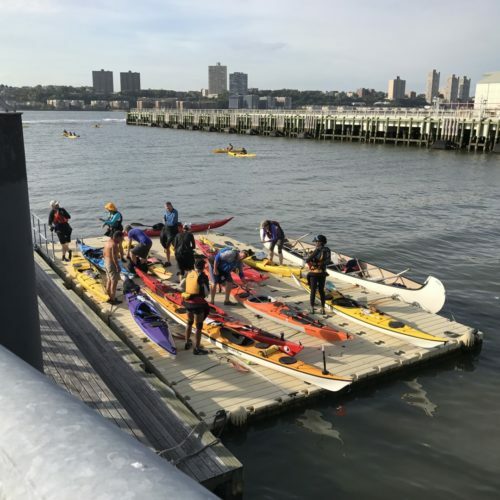 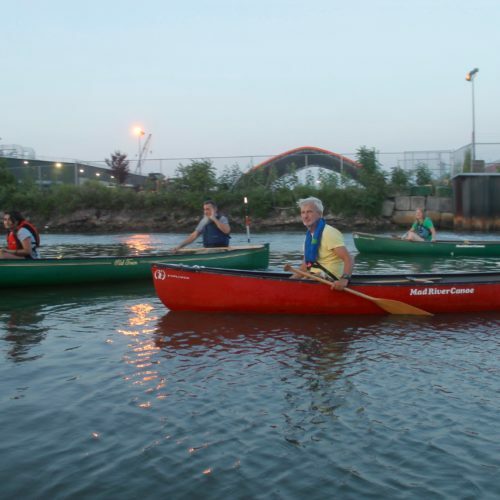 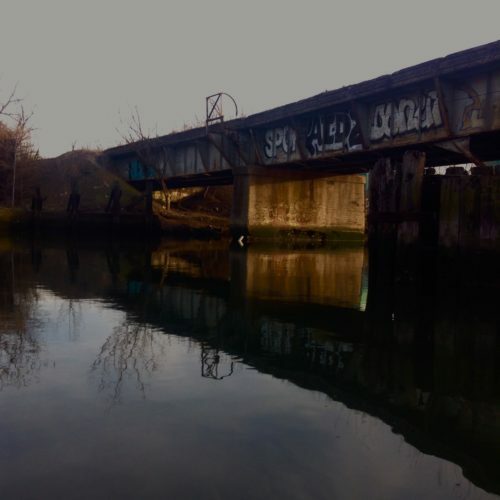 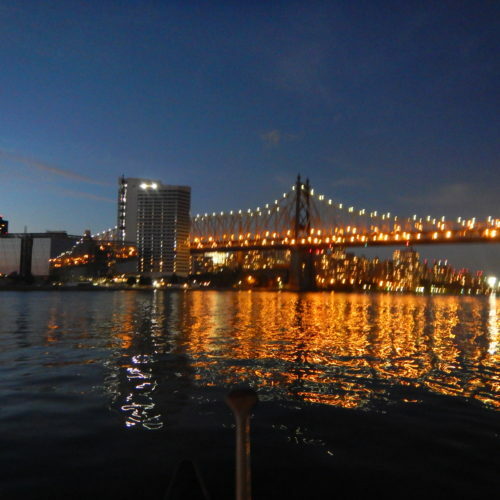 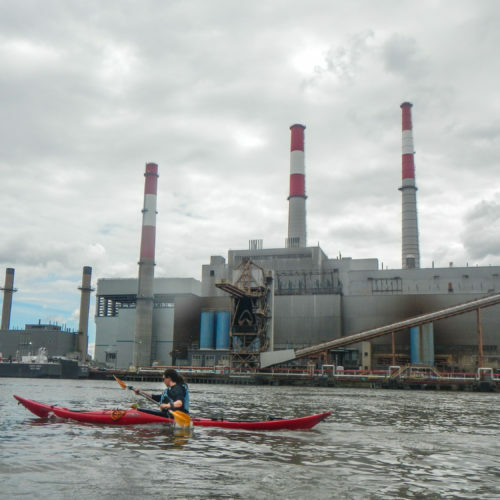 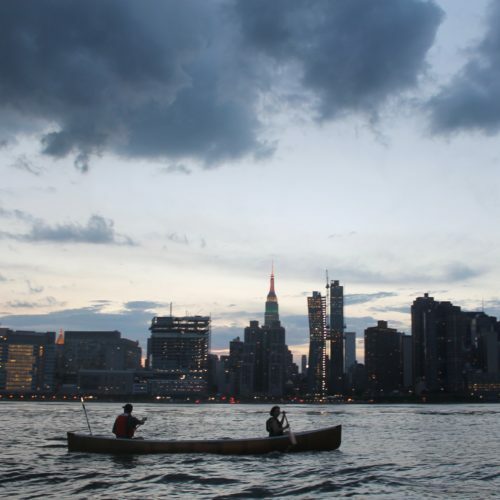 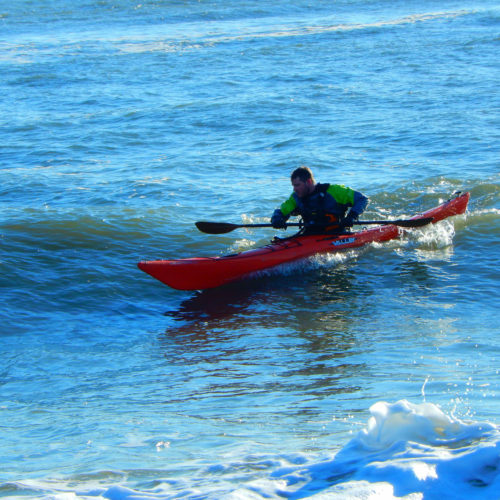 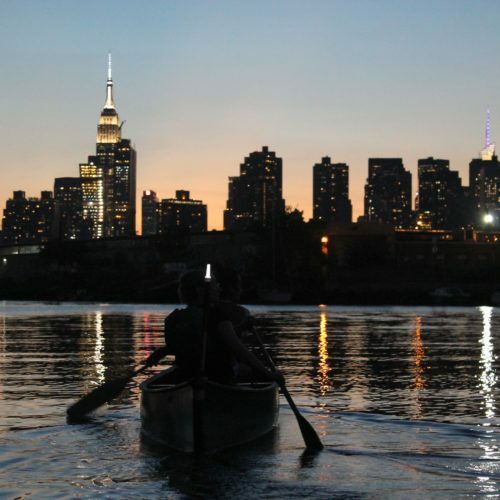 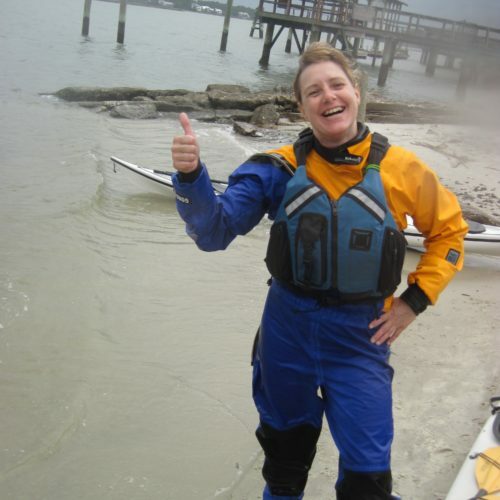 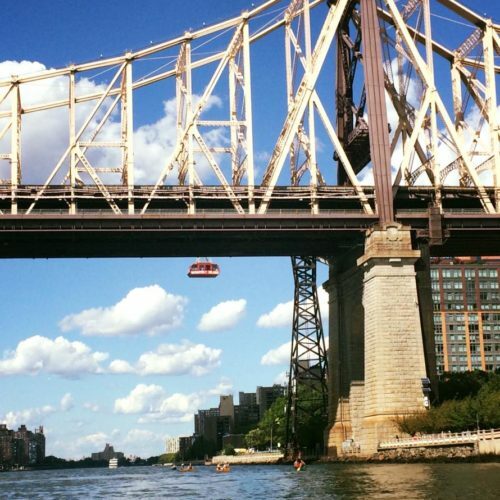 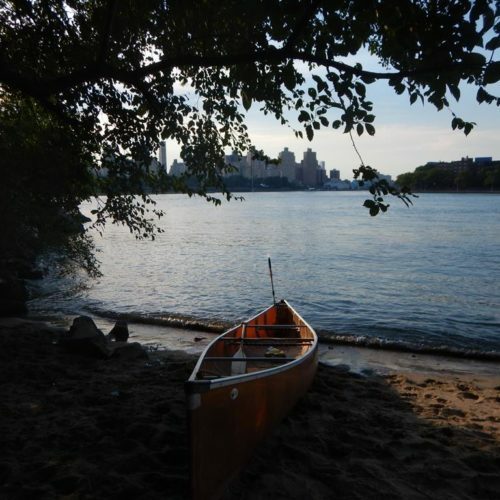 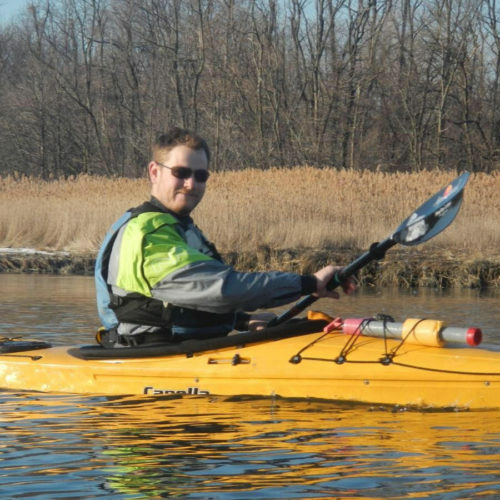 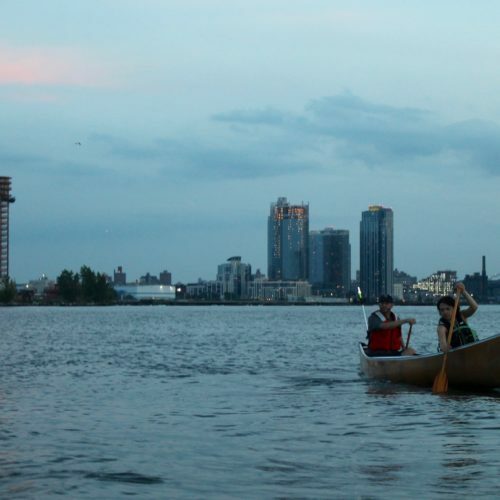 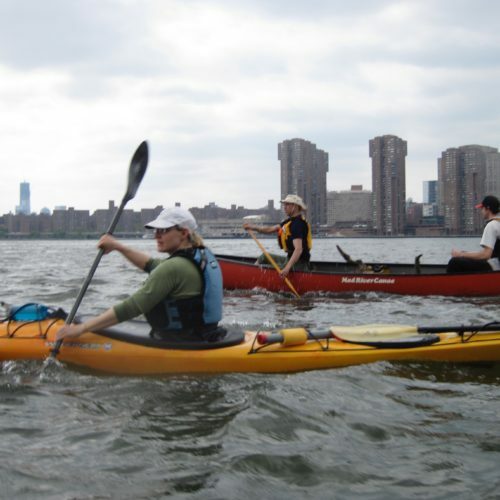 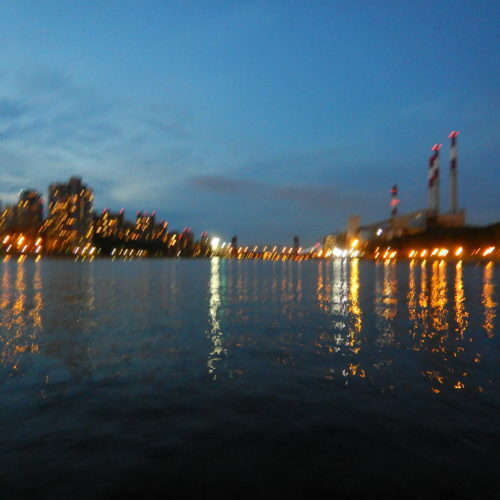 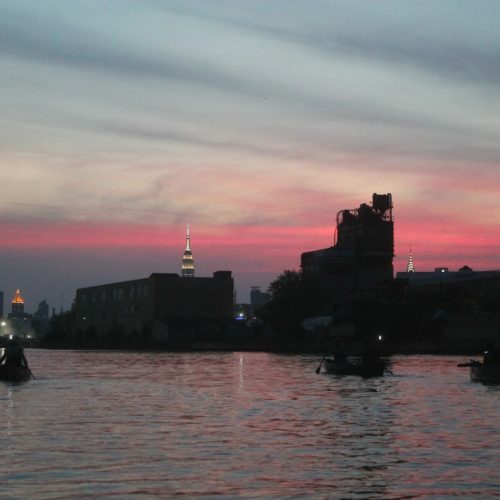 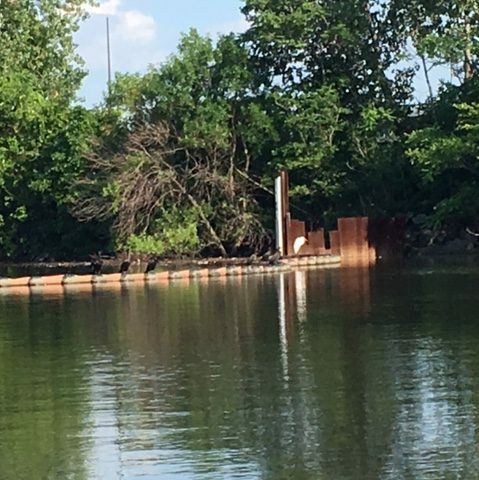 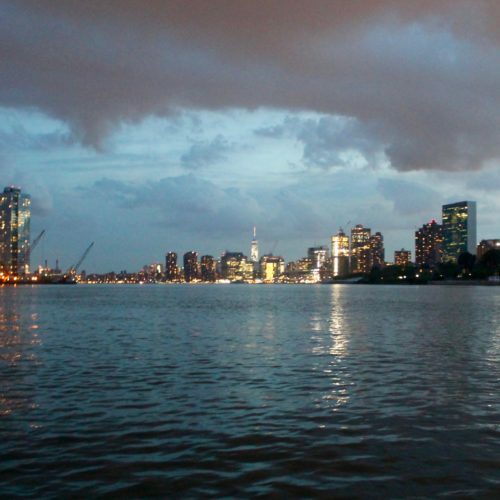 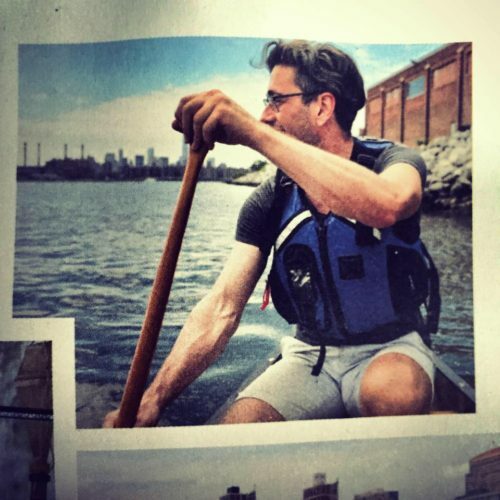 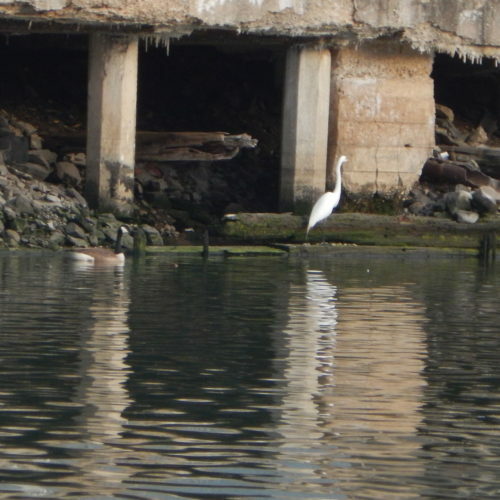 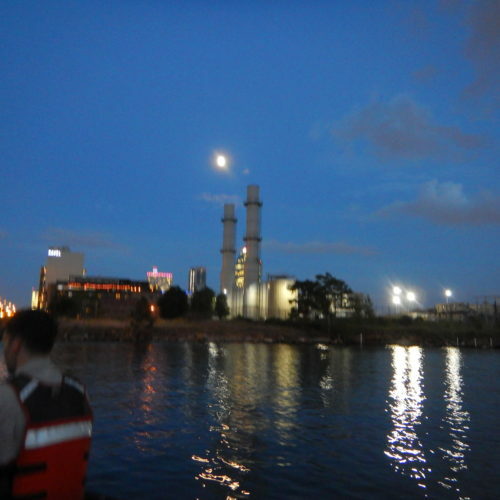 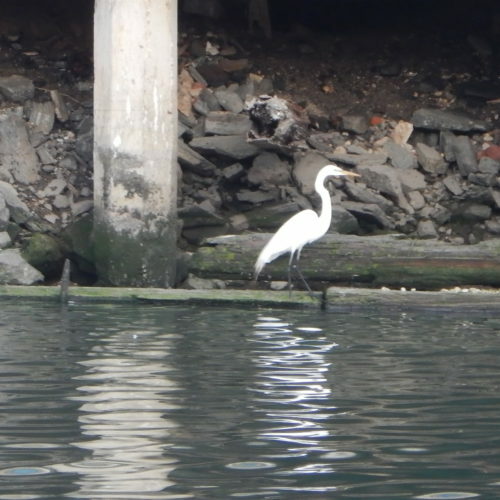 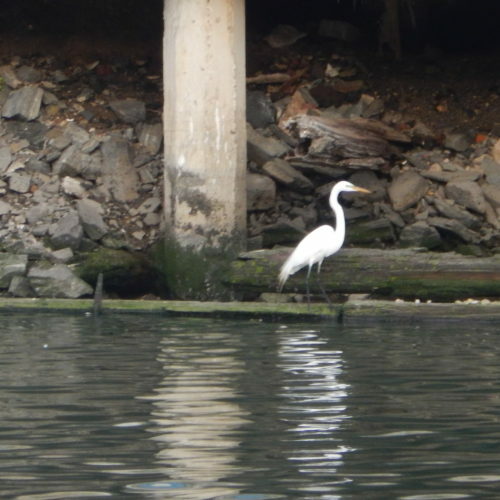 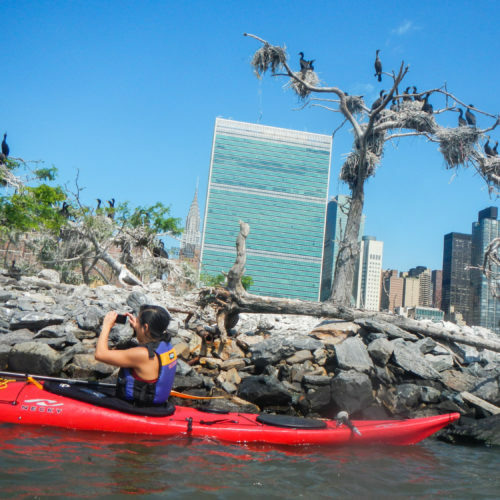 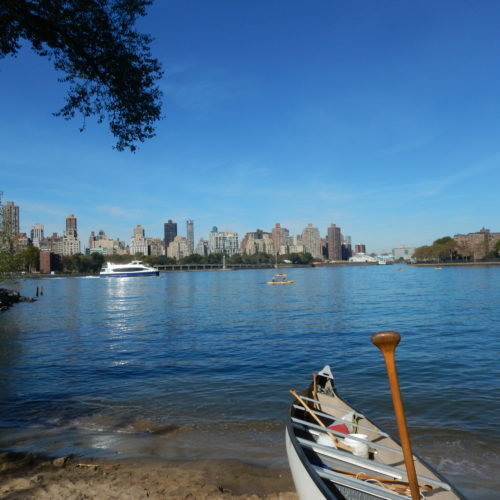 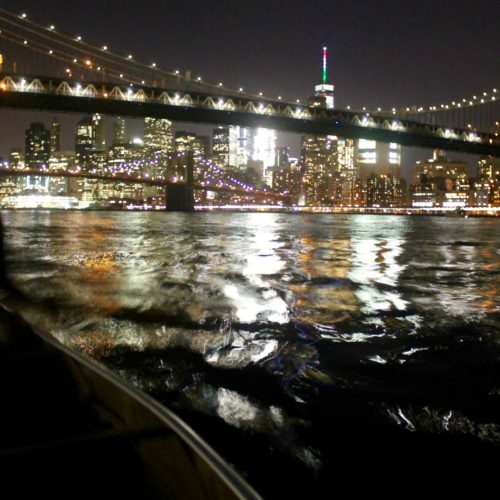 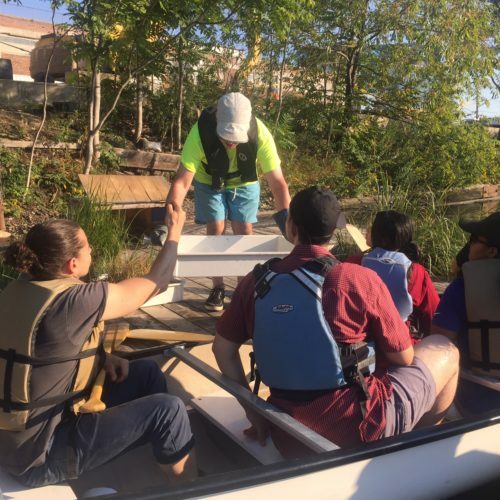 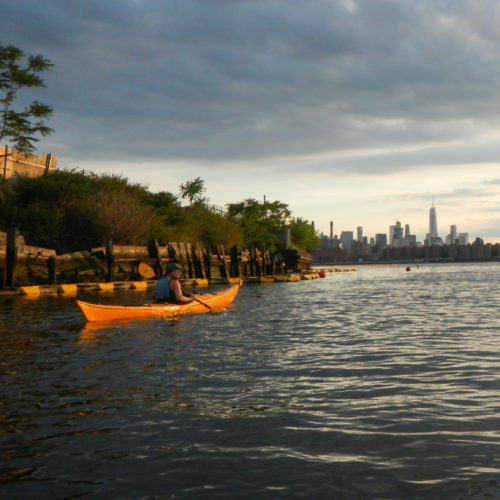 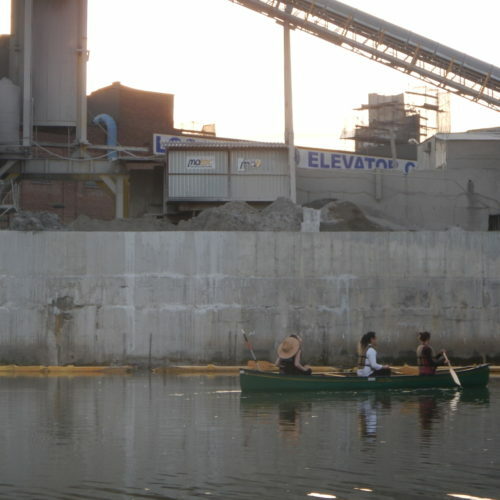 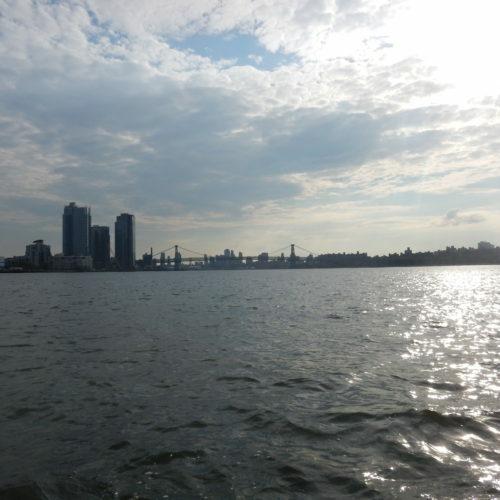 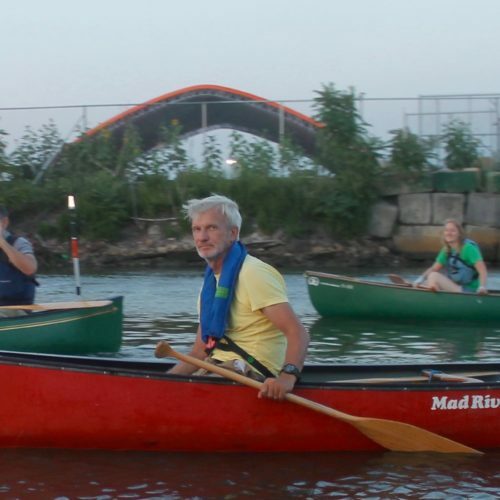 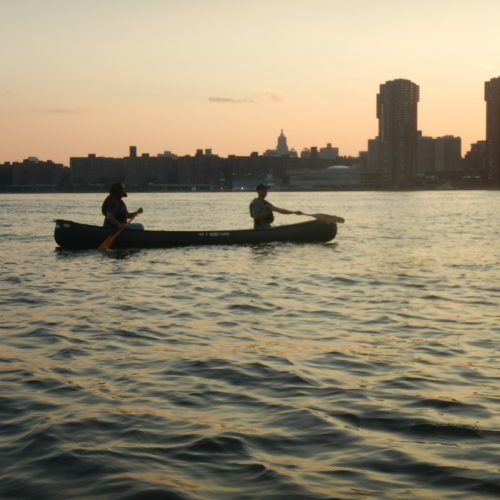 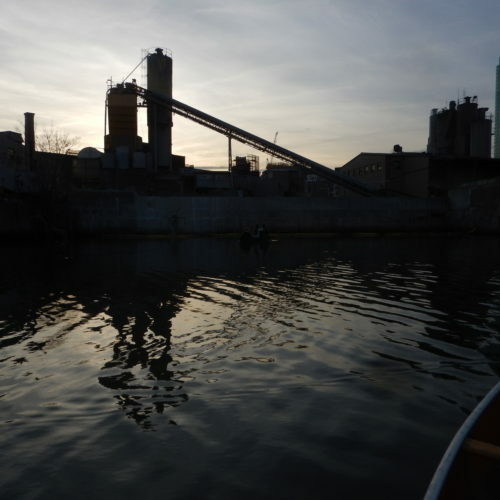 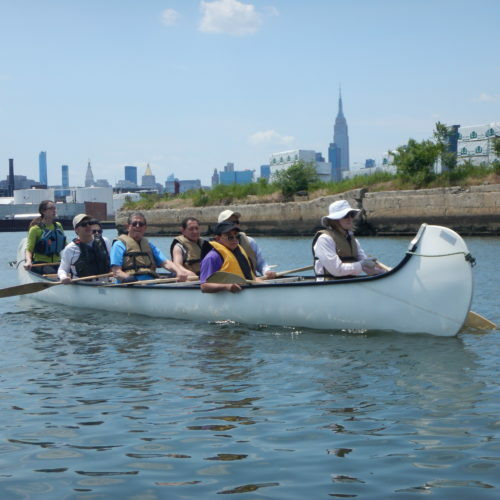 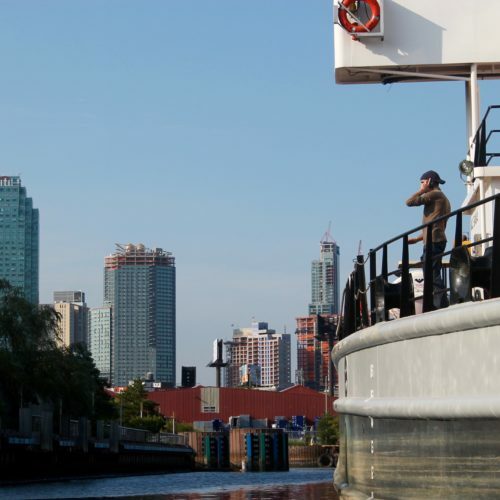 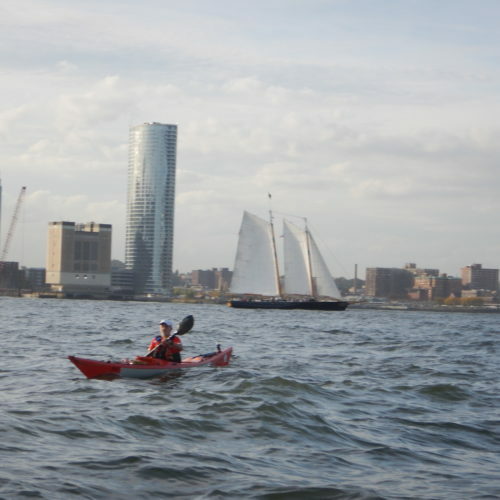 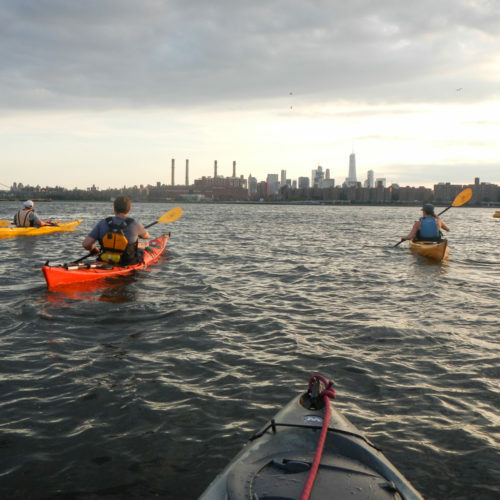 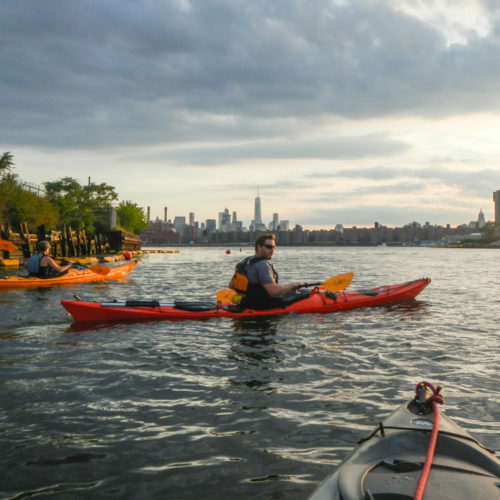 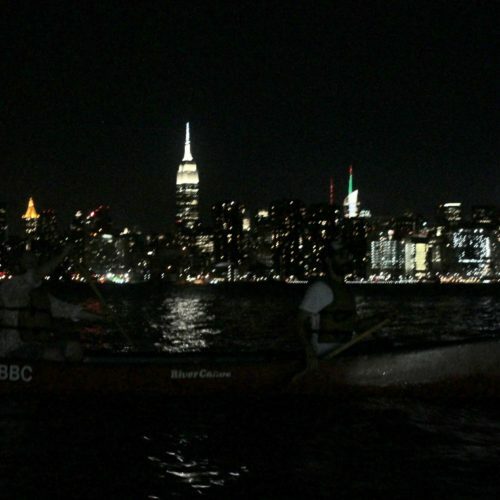 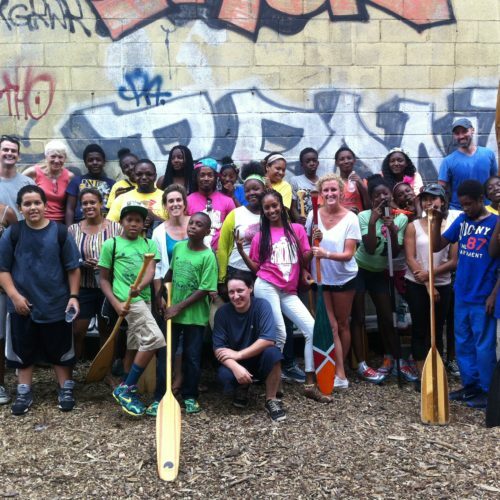 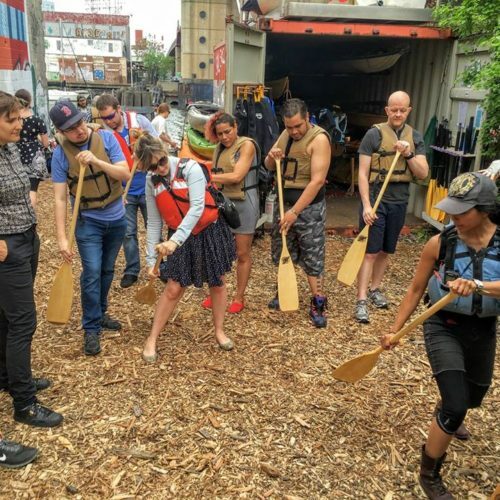 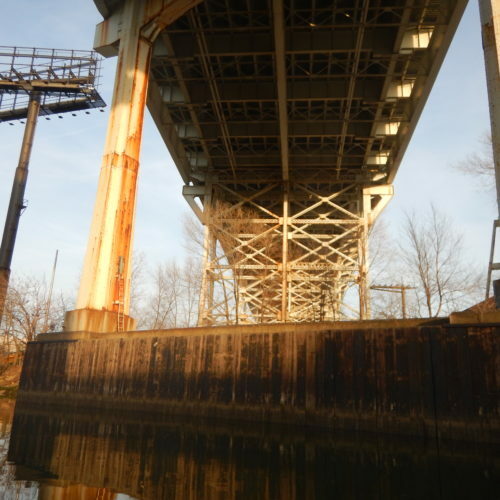 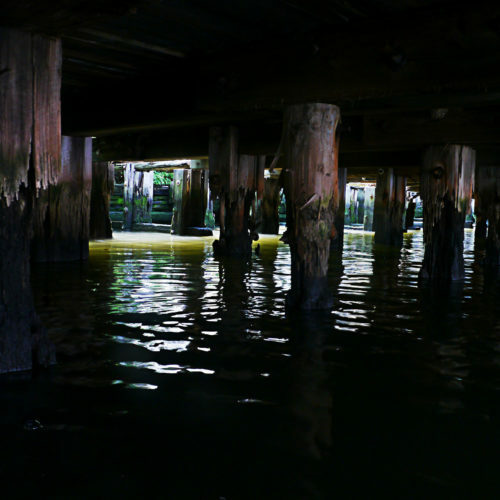 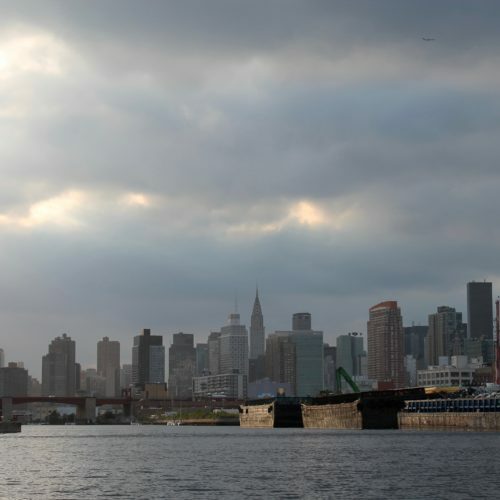 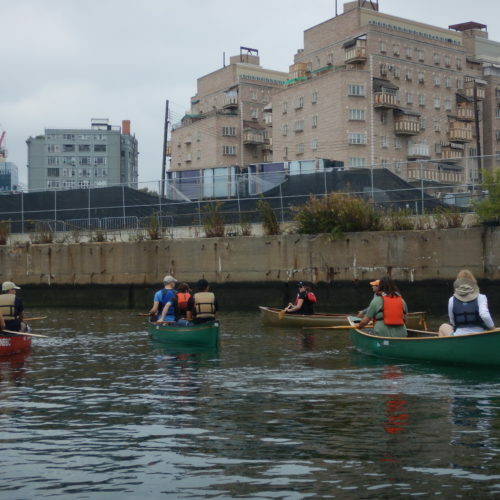 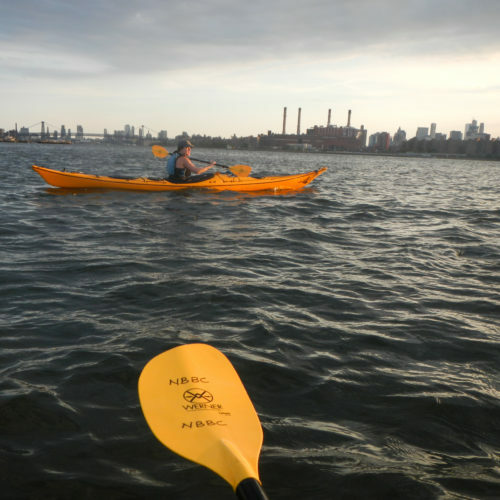 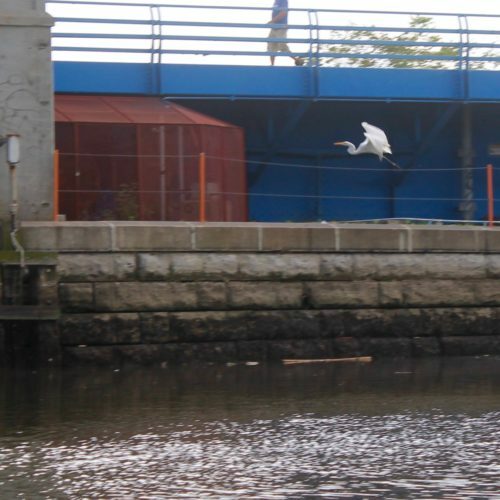 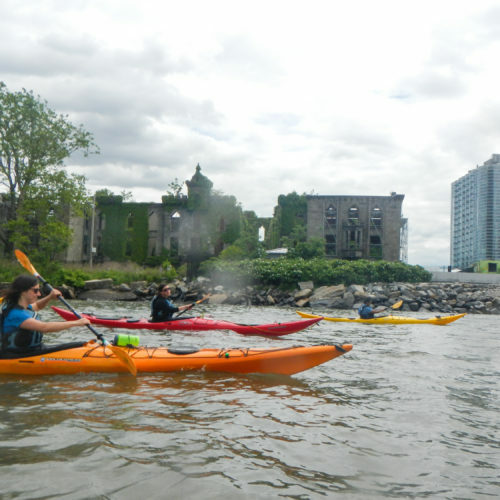 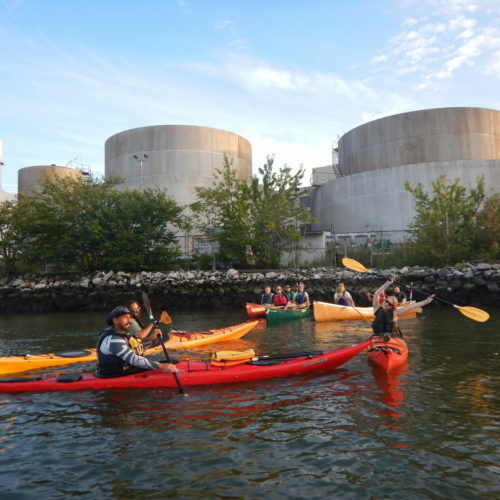 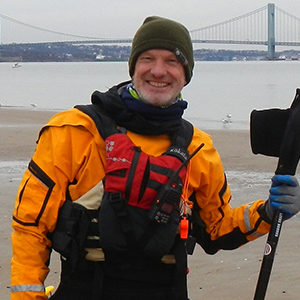 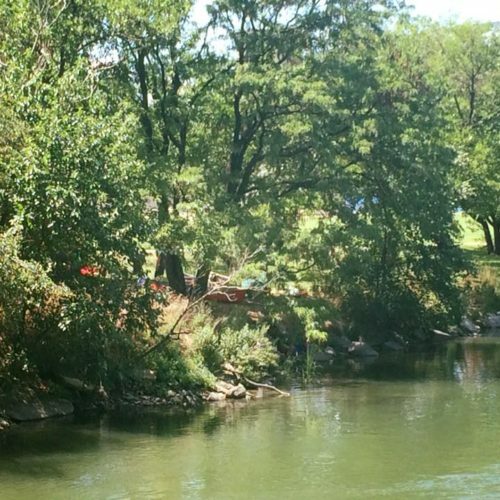 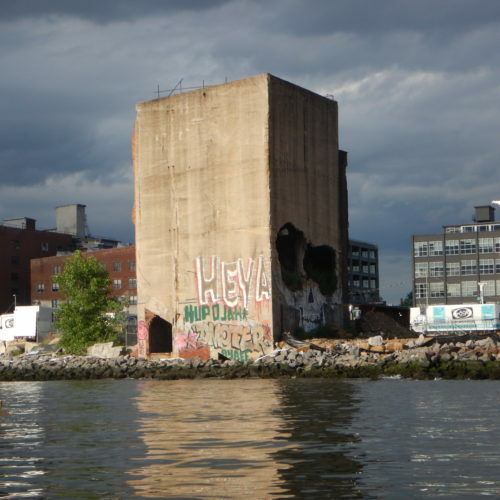 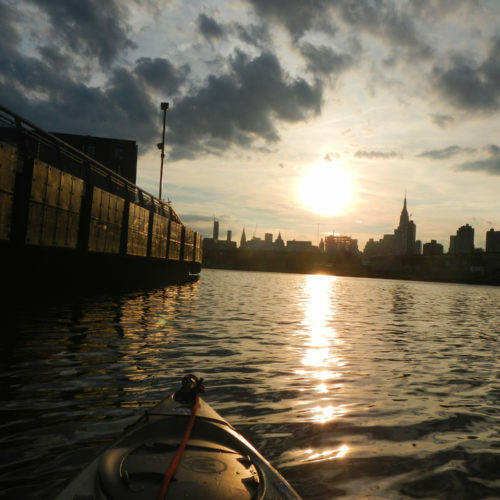 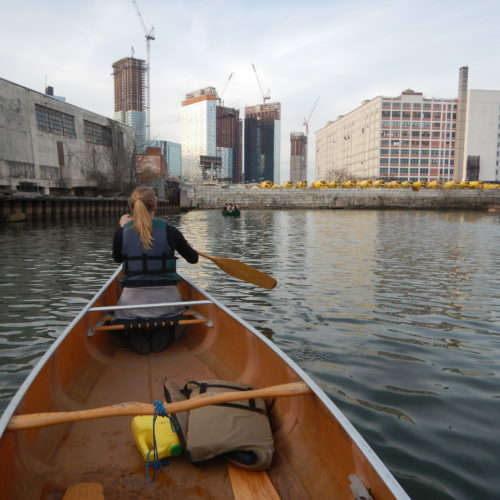 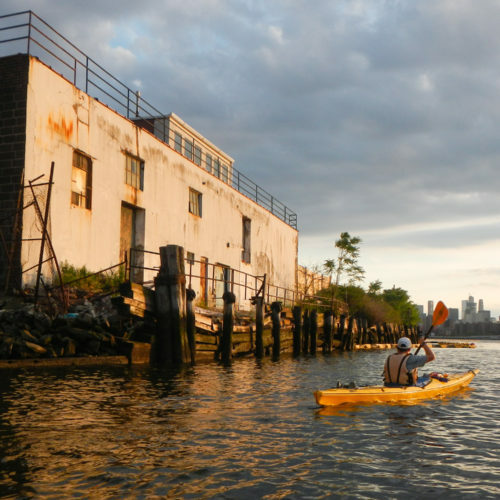 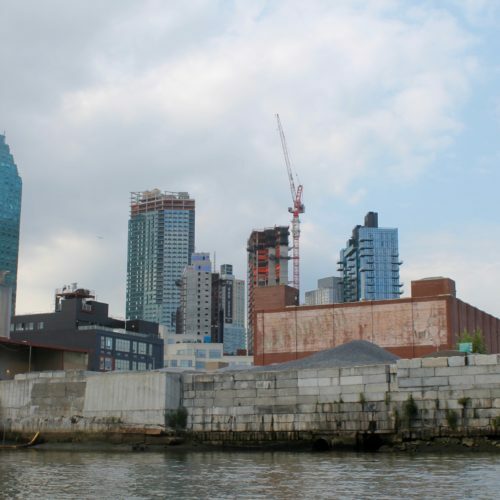 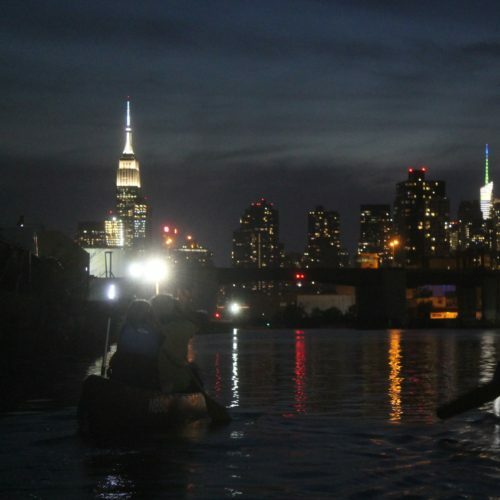 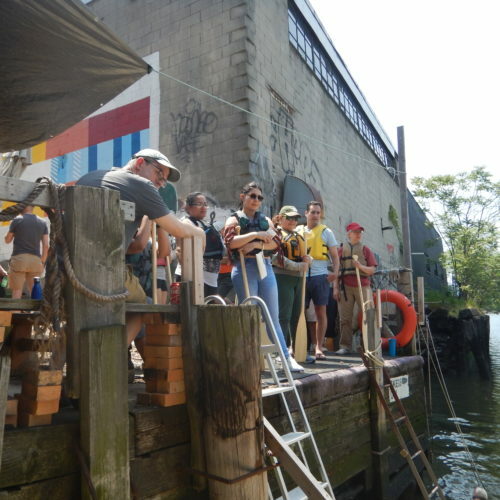 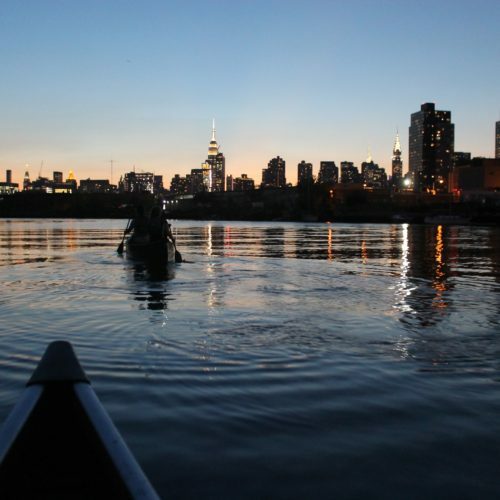 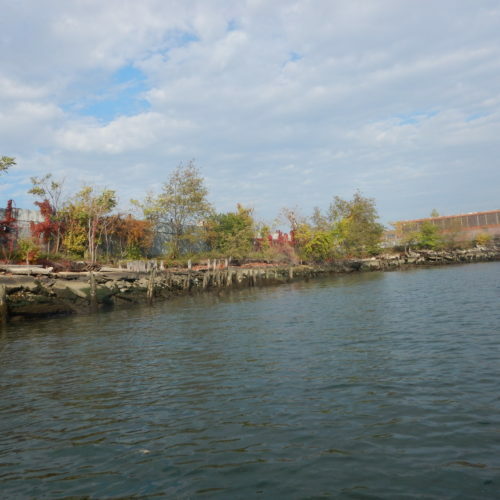 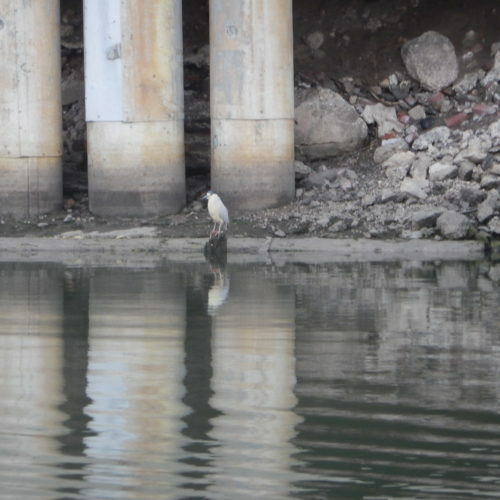 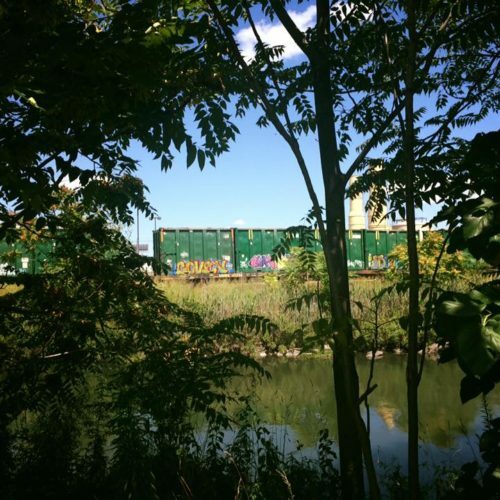 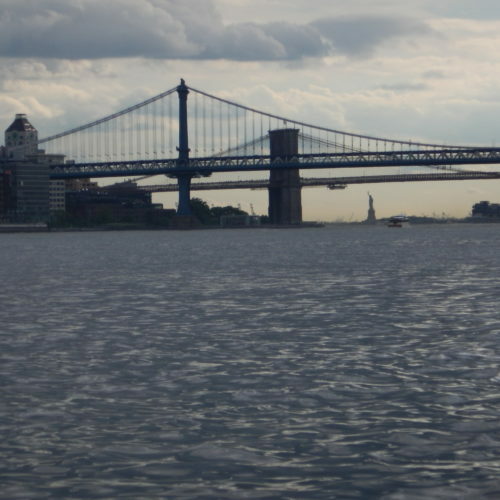 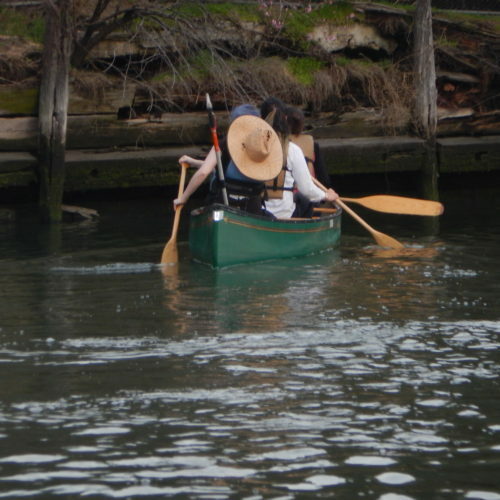 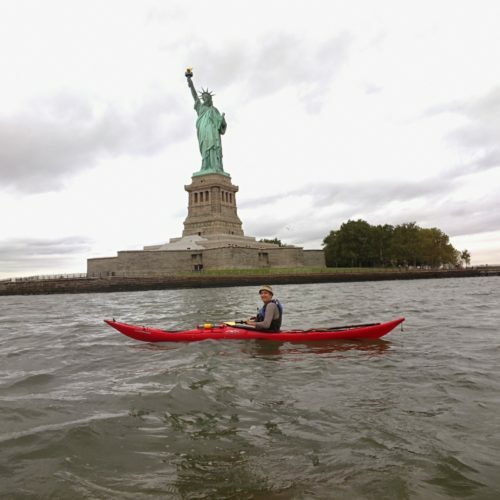 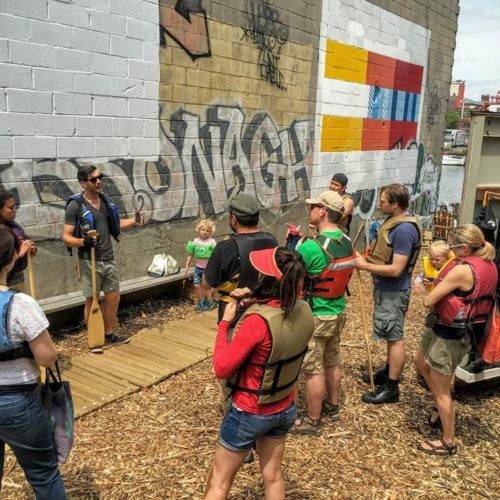 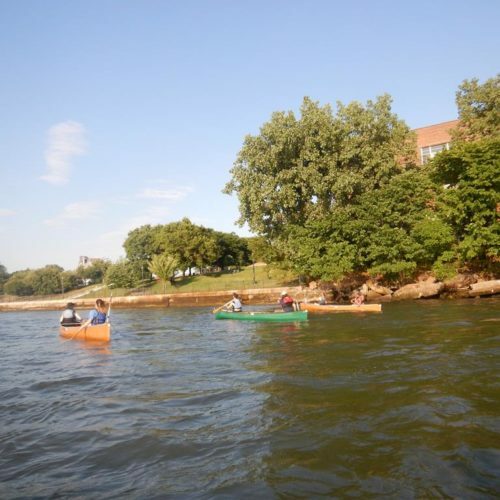 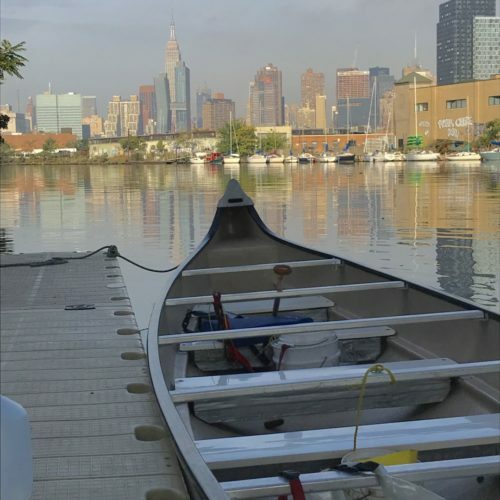 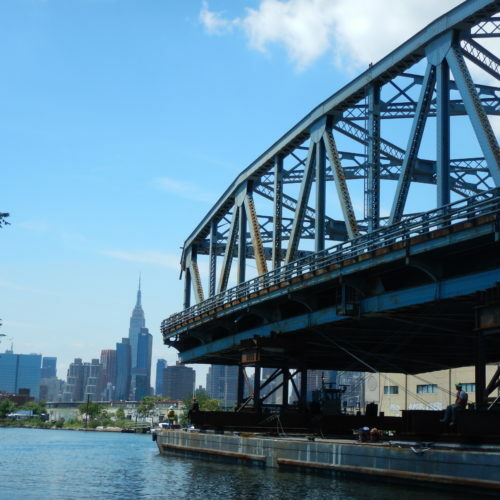 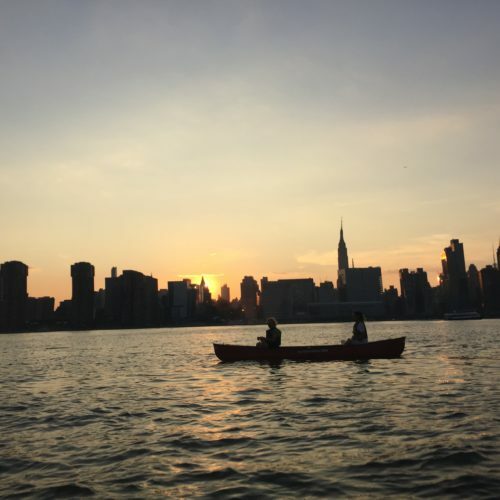 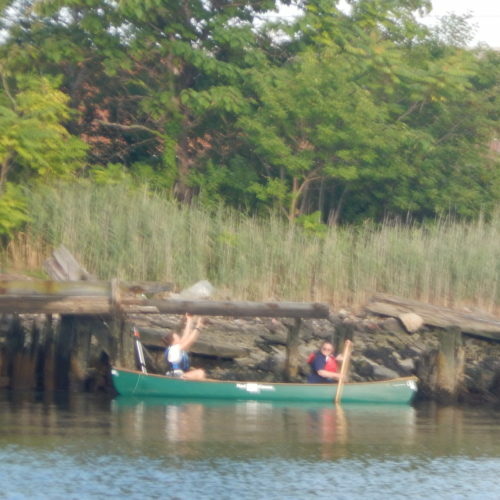 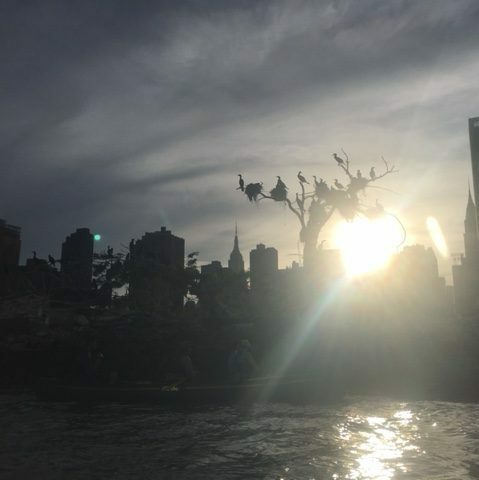 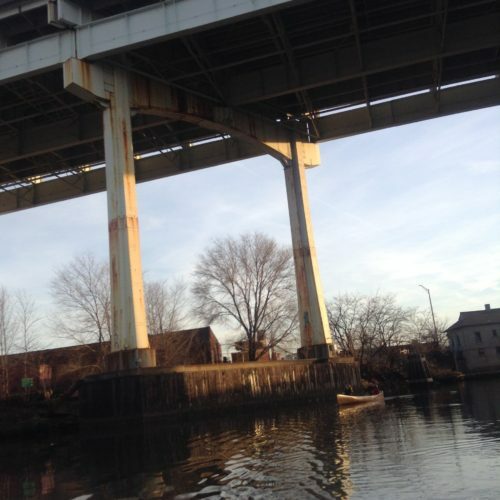 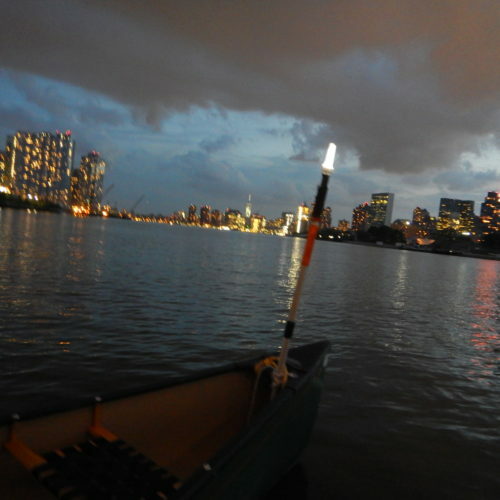 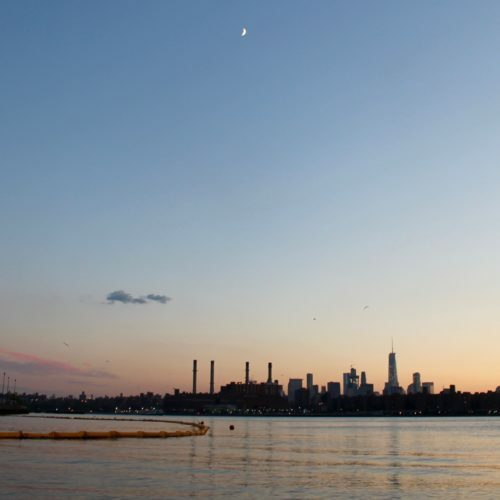 Member paddle trips on the waterways of New York City are the invaluable reward that NBBC members get for their part in furthering our mission of advocacy for and enabling access to the waters for the NYC community. 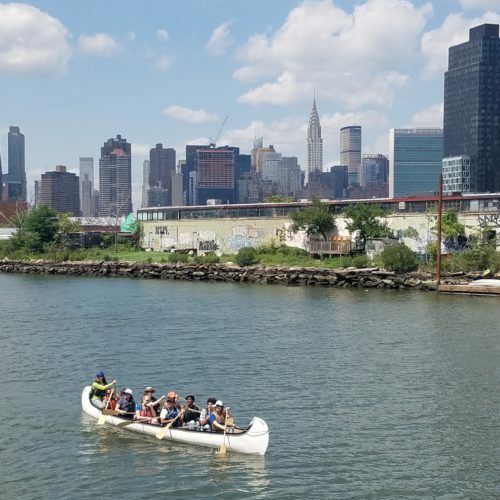 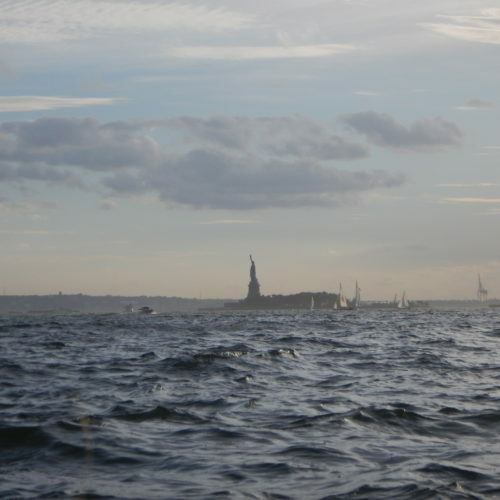 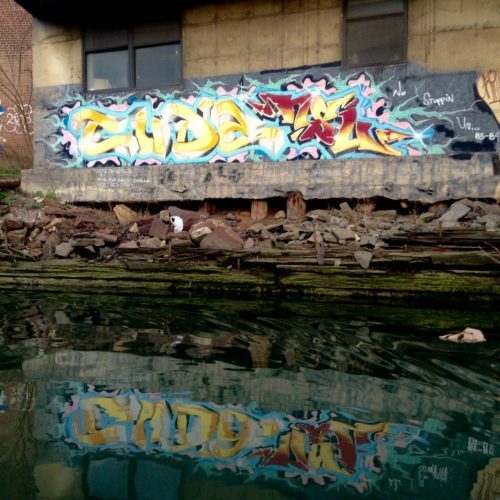 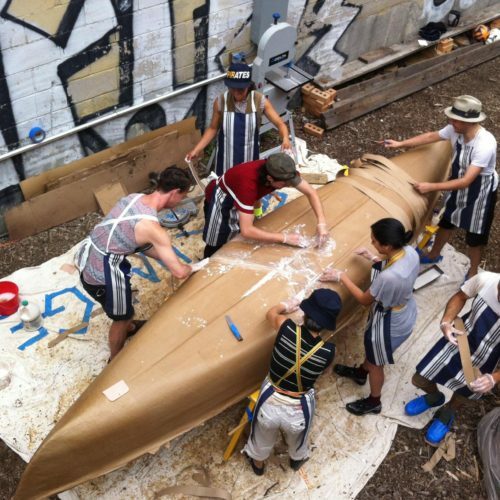 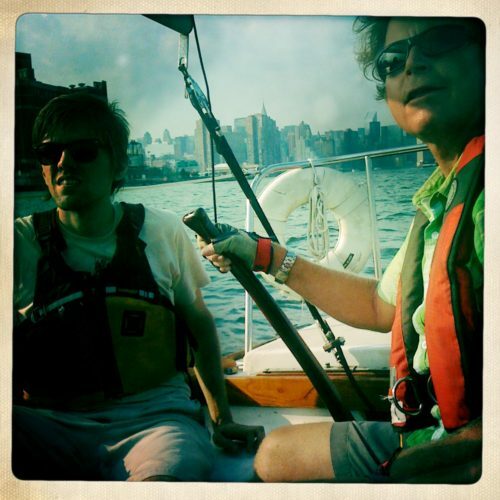 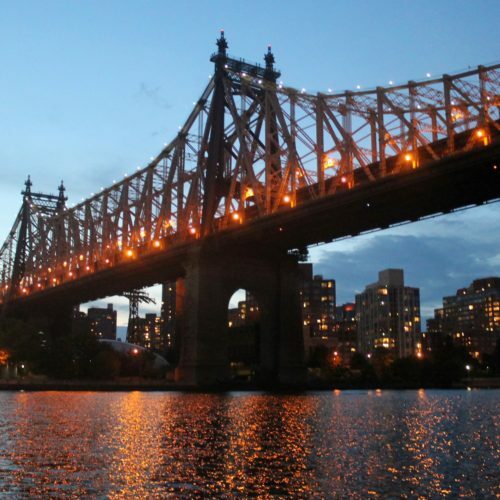 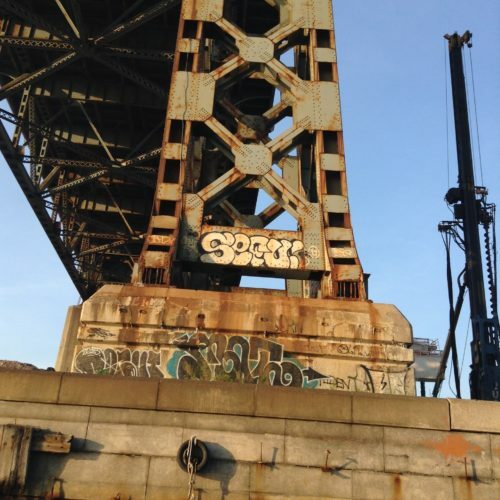 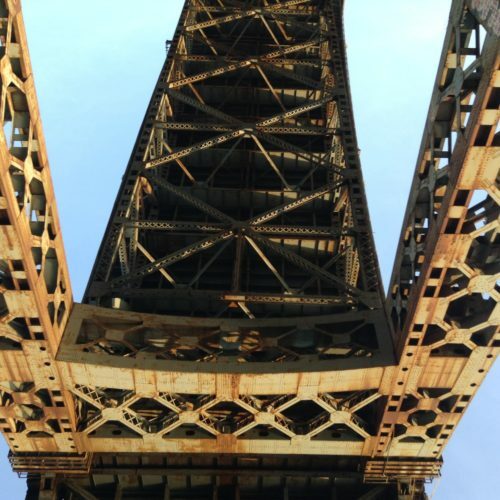 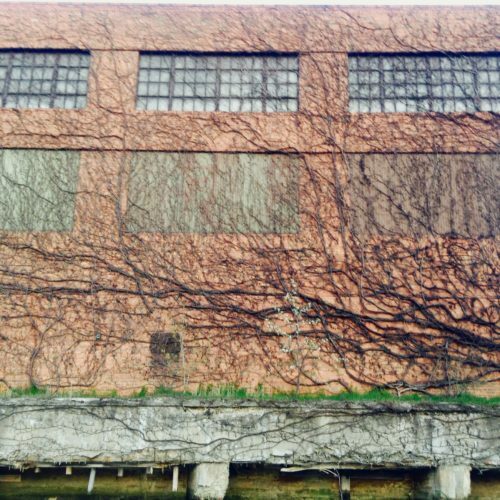 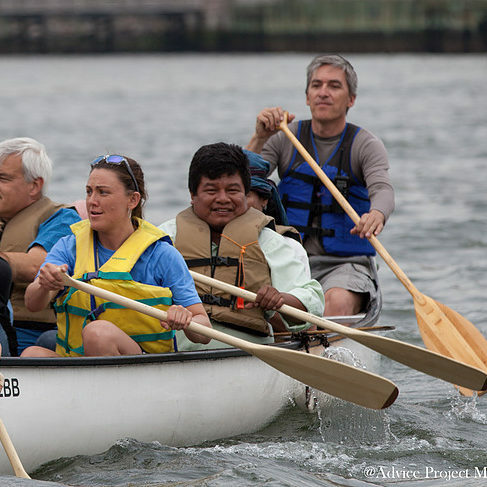 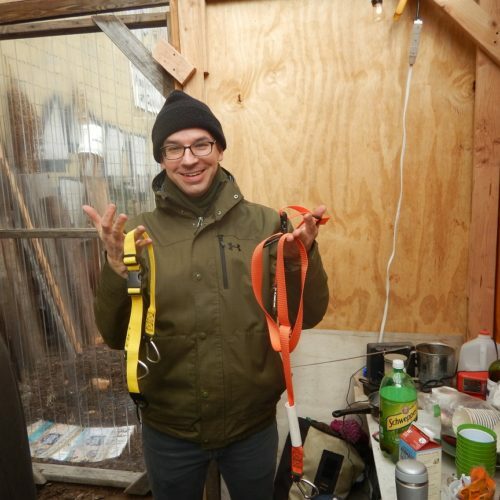 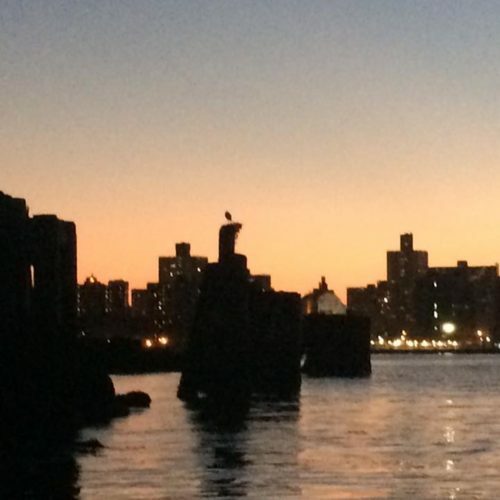 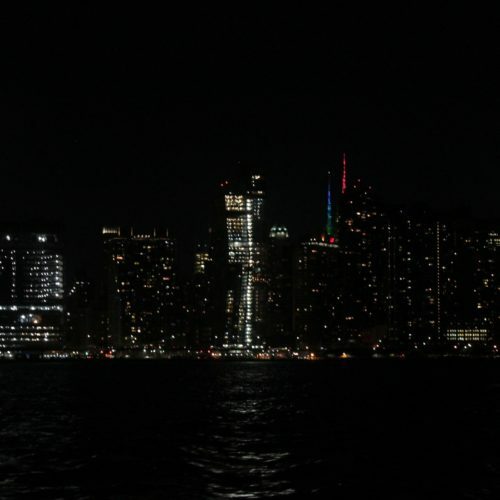 But we always hope that members will become member-volunteers and that those will in turn become trip leaders and the next cohort actively involved in bringing new people out on the water and showing New Yorkers that the waters belong to no one — and so belong to all of us. 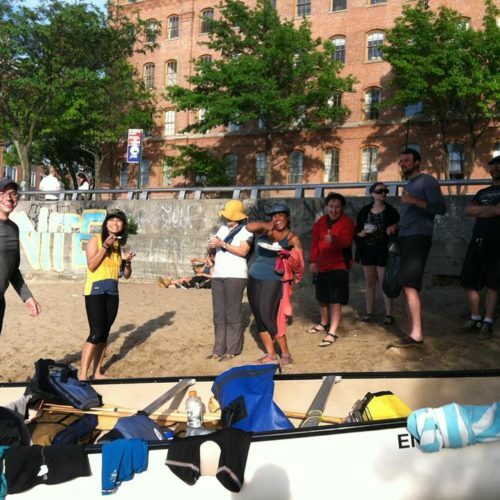 And so it’s always great news when a group of members take the first step to becoming trip leaders: passing their Level 2 for canoe or kayak paddling. 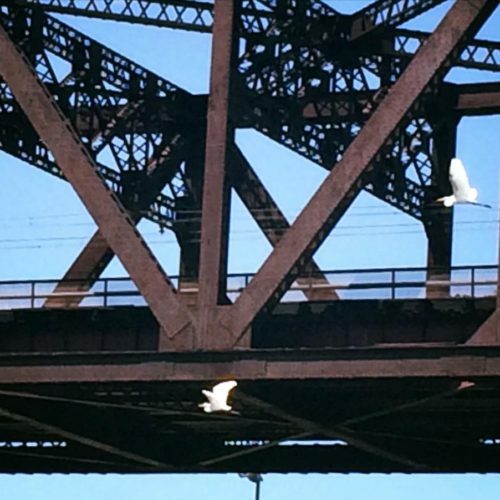 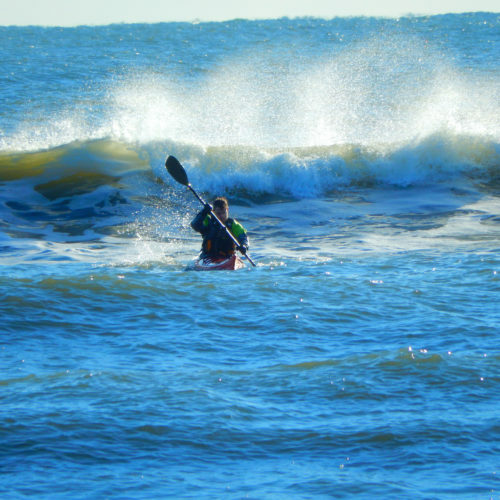 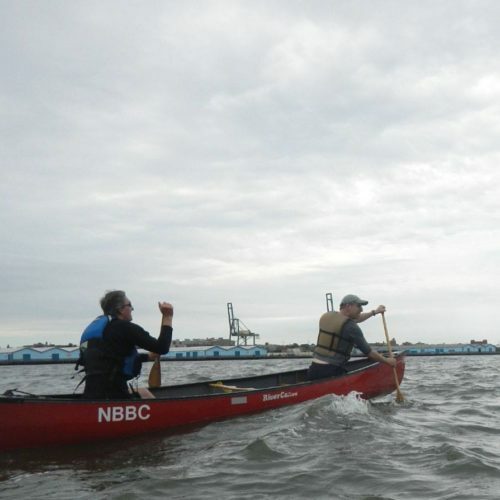 From here to Official Paddler status to trip leader: that’s the path we hope NBBC members discover and paddle down. 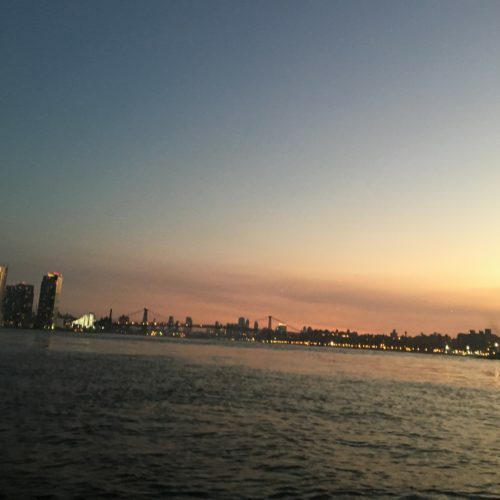 And it’s for this reason that we have a culture of learning and teaching. 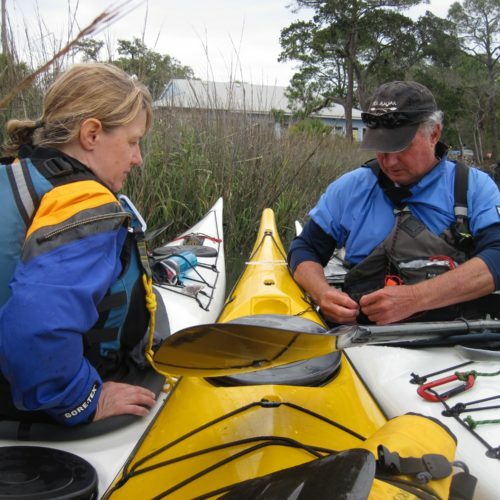 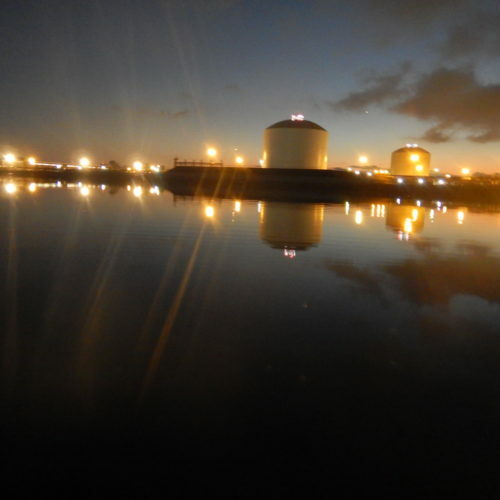 Member trips are always skills workshops, always another chance to sharpen paddling techniques, to understand the tidal currents of our estuary, and to learn of the deep connections we all have with the waters that surround us. 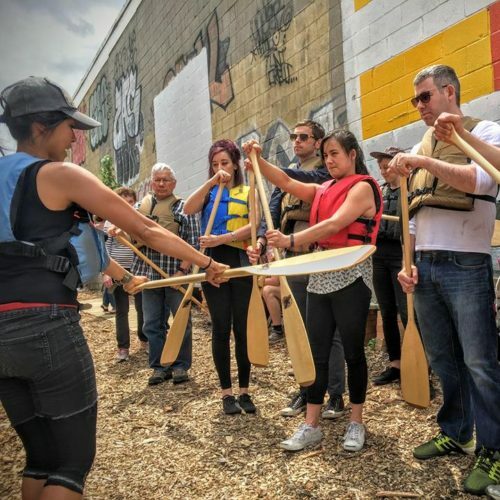 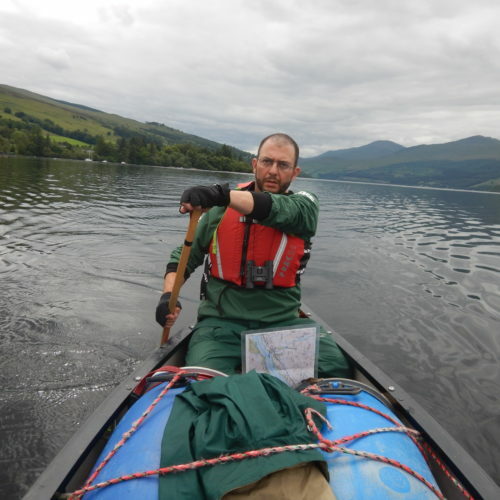 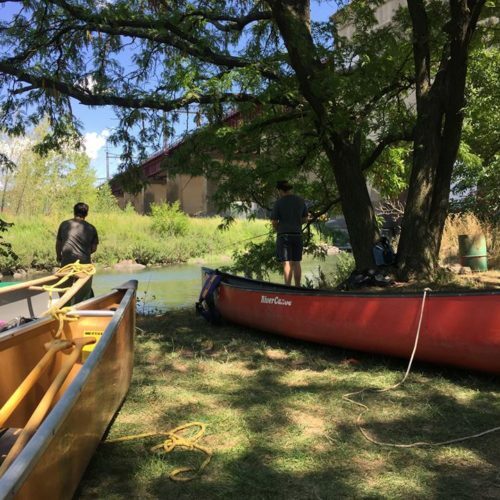 So we want to thank Jens and congratulate our new Level 2 canoeists — with the hope that all NBBC members will move along the road toward becoming more skilled, more connected, and more able to pass that knowledge along to the next group to discover our home waters. 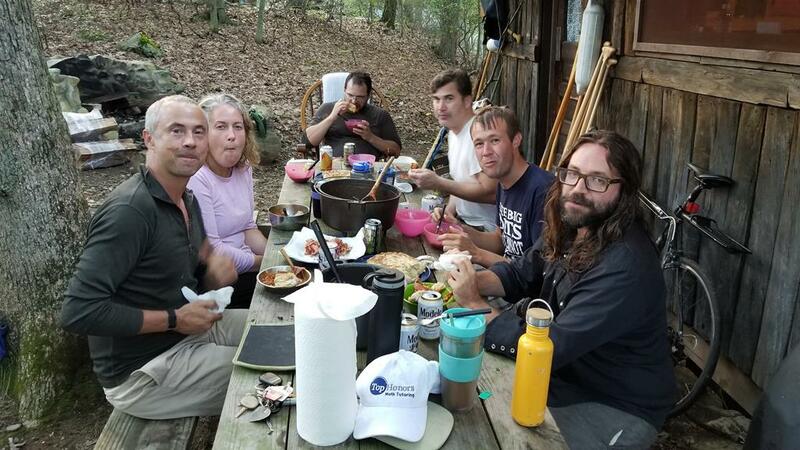 The 2018 Level 2 Canoe class fueling up. 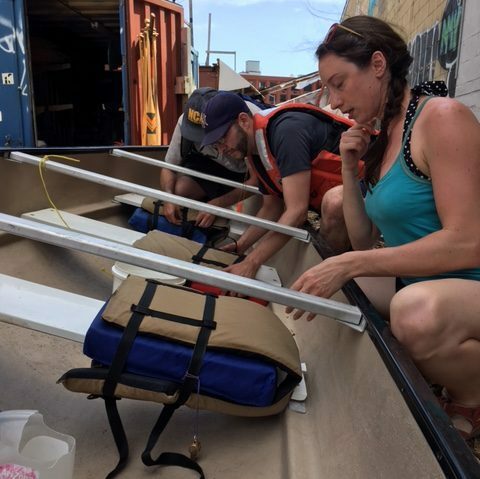 And thankfully there was enough food when the long days were done! 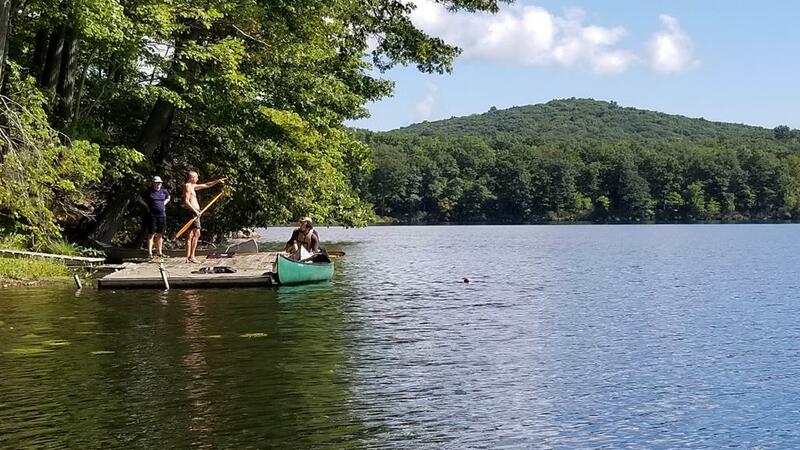 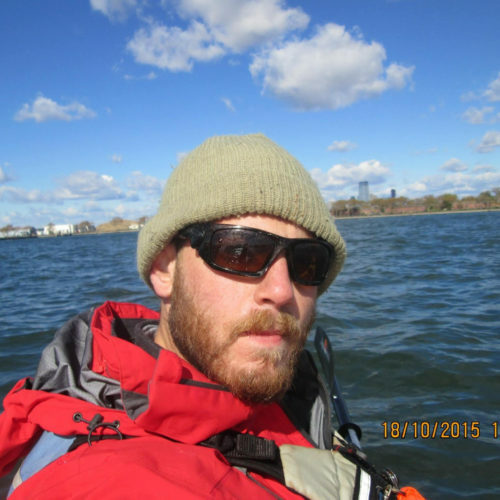 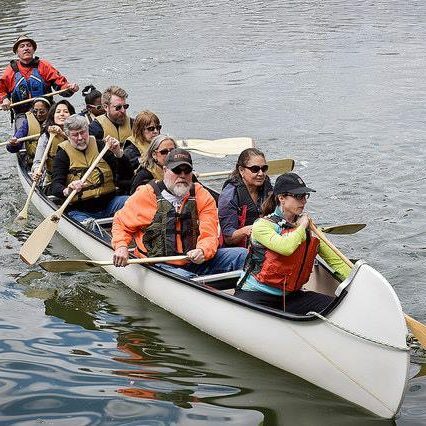 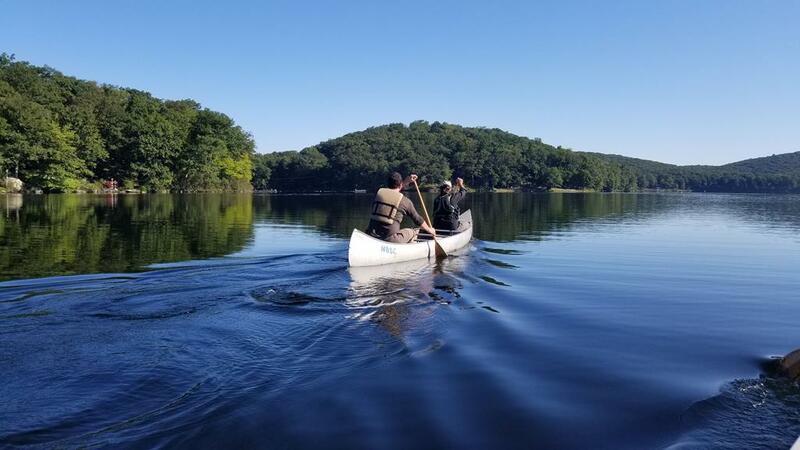 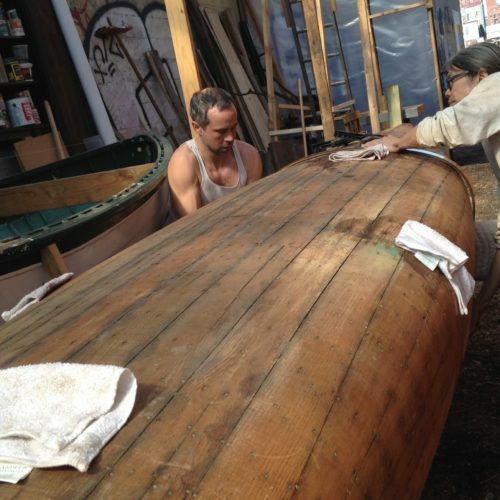 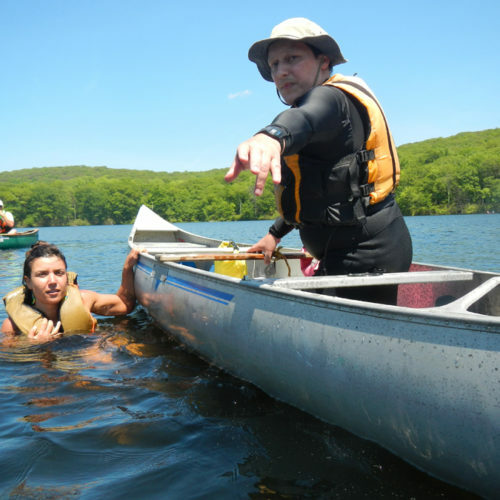 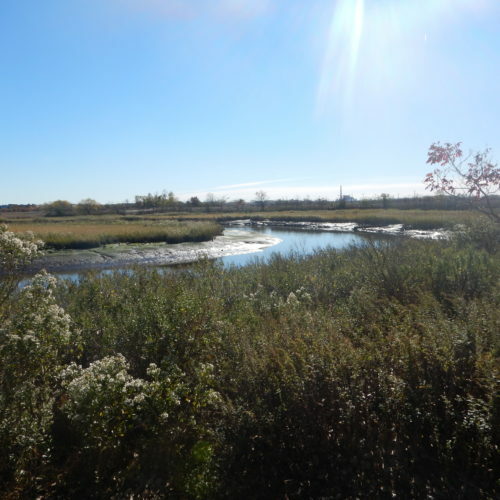 This entry was posted in News, Voyages and tagged canoe, learning, member-volunteers, sebago, training on September 23, 2018 by M. H..